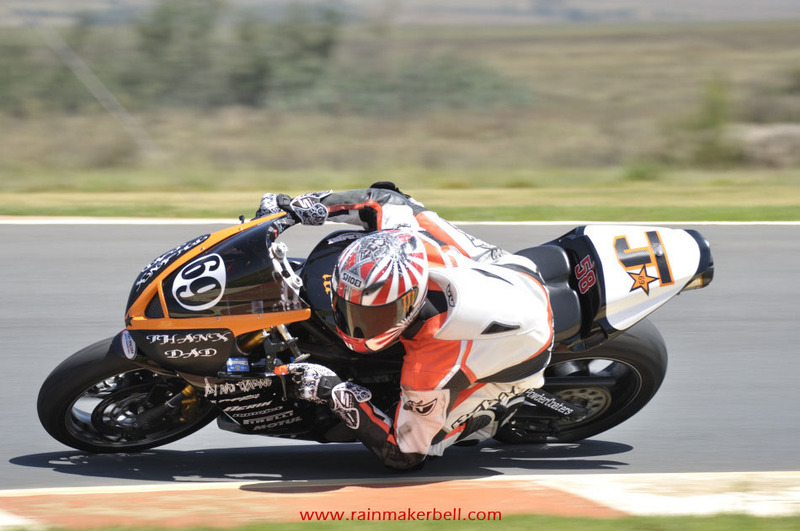 There are two kinds of people in this world—those who make the world turn and those who stare at it. 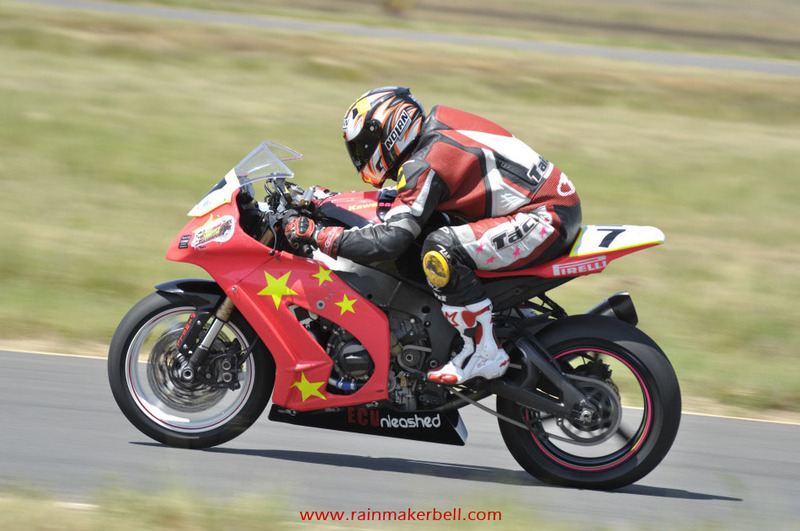 Unfortunately not all of us can be up on the big stage (podium) accepting roaring applause with raised arms, but we can make sure that we take up front row seats to the greatest show on earth—the Full Throttle race day at Red Star. 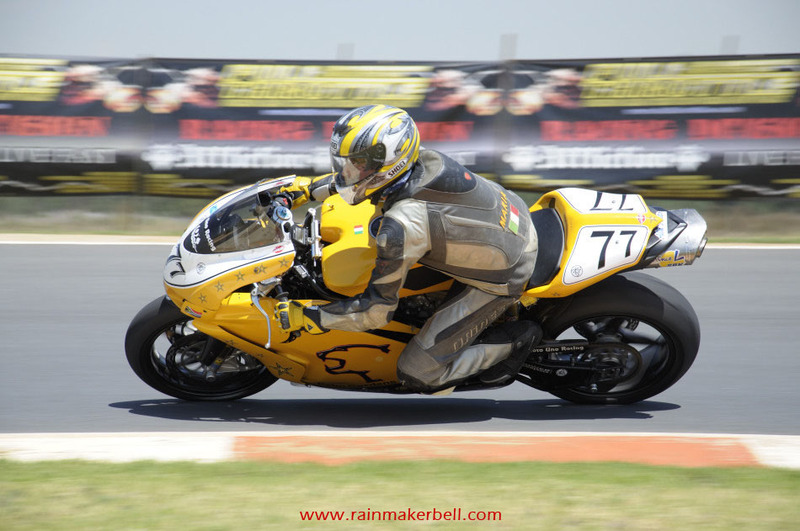 For any positive outcome (meaning first place), there must be fit and willing participants. 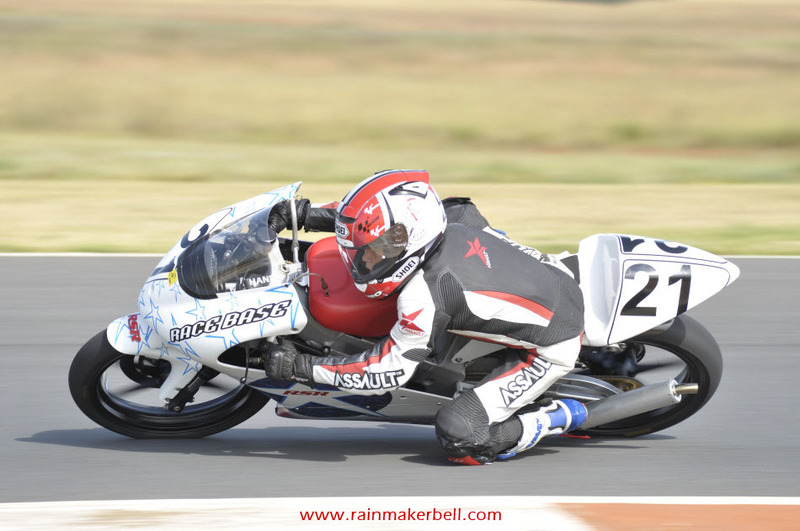 Without participants there can't be a winner. 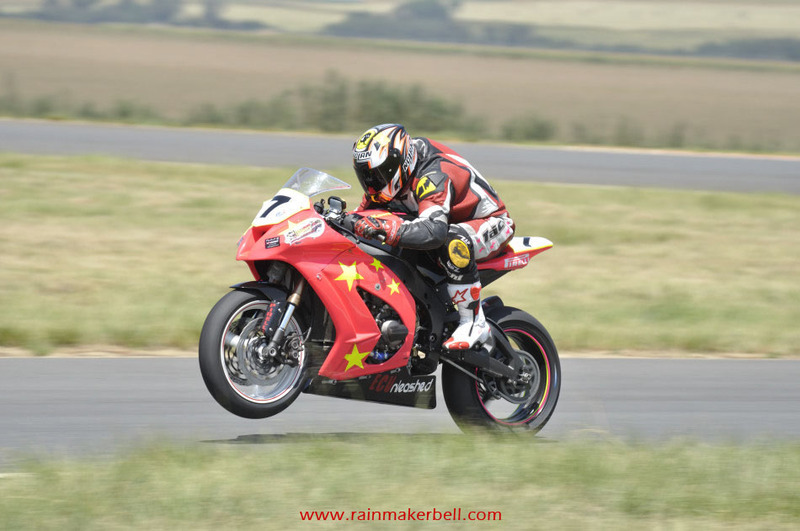 How can you compete against yourself and still expect to be praised? 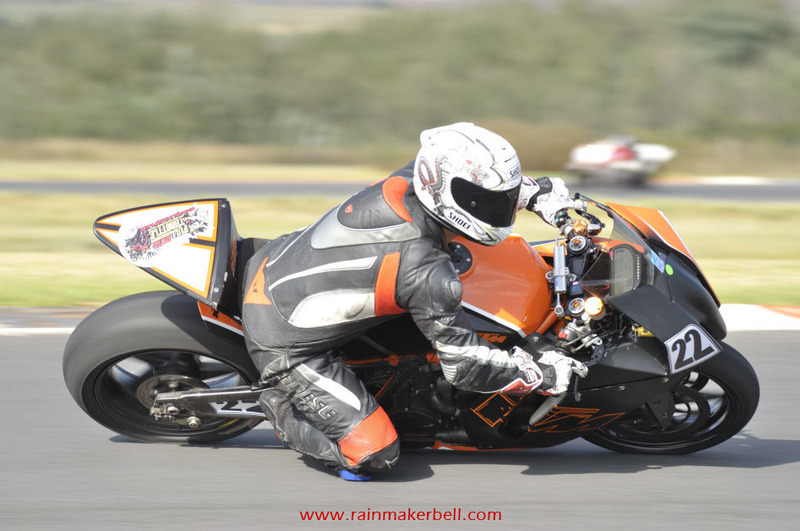 A war against yourself is unheard of. 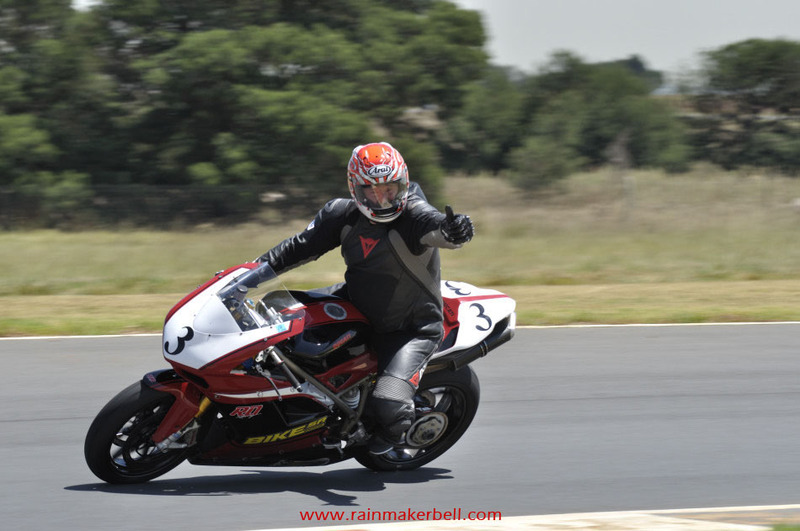 Next to the racetrack (while taking photographs) I imagined myself being part of the motorcycle-train—as frontrunner or just somewhere in the middle. 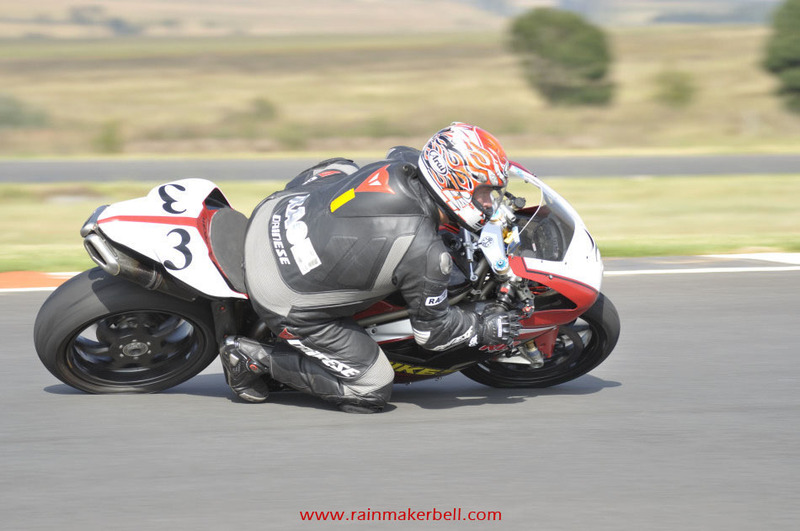 In either case, it must surely put a lot of strain on body, mind and race bike. 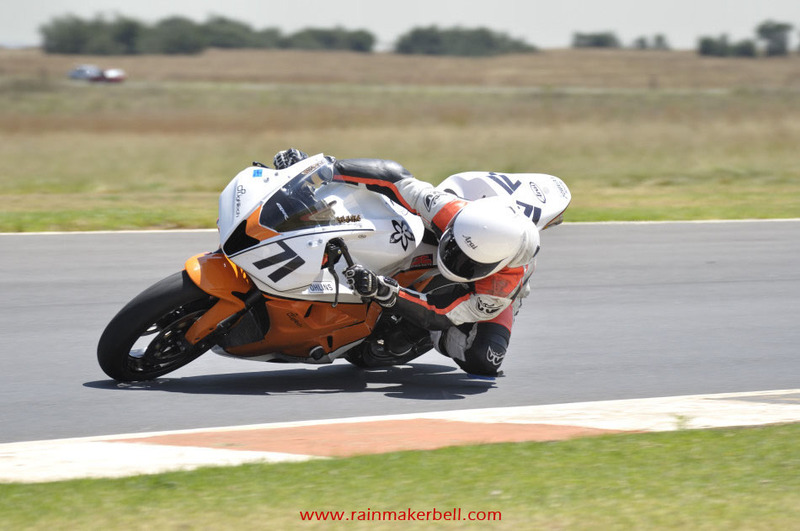 Adrenalin pumping; heartbeat racing; muscles tensed; eyes focussed, like a falcon staking its pray... 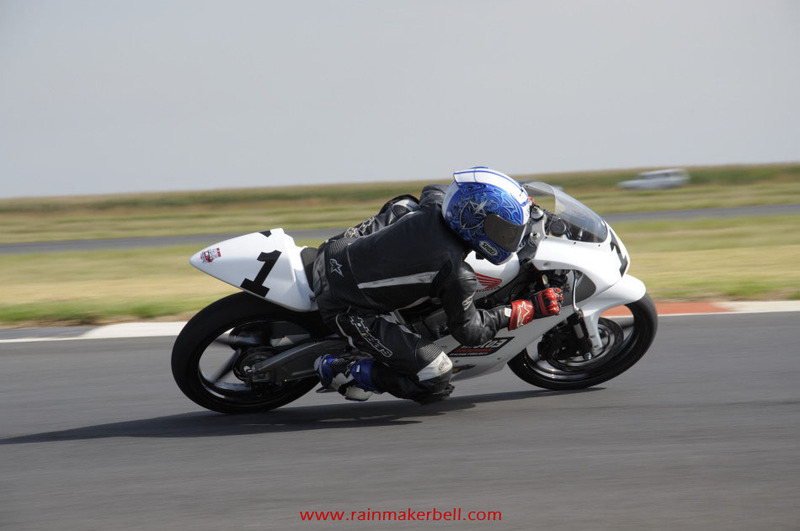 I can only image. 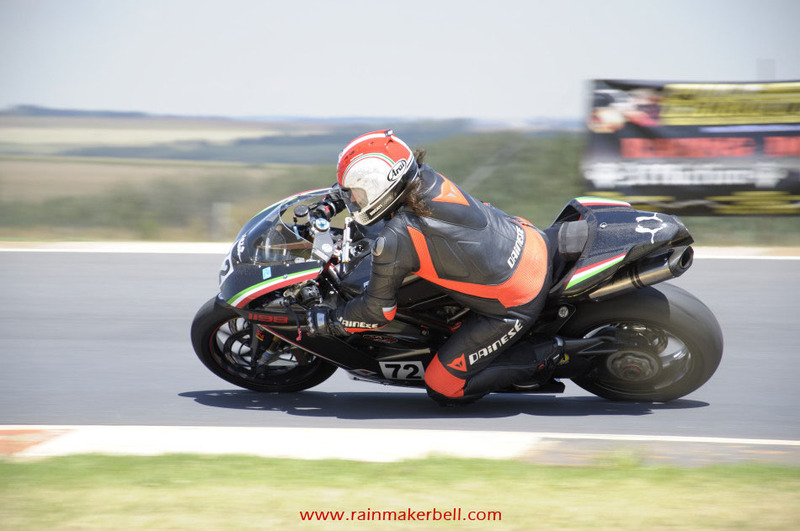 With lightning speed the motorcycle riders whizzed down the long back straight, de-accelerating in the blink of an eye before they followed the turn, away from me. 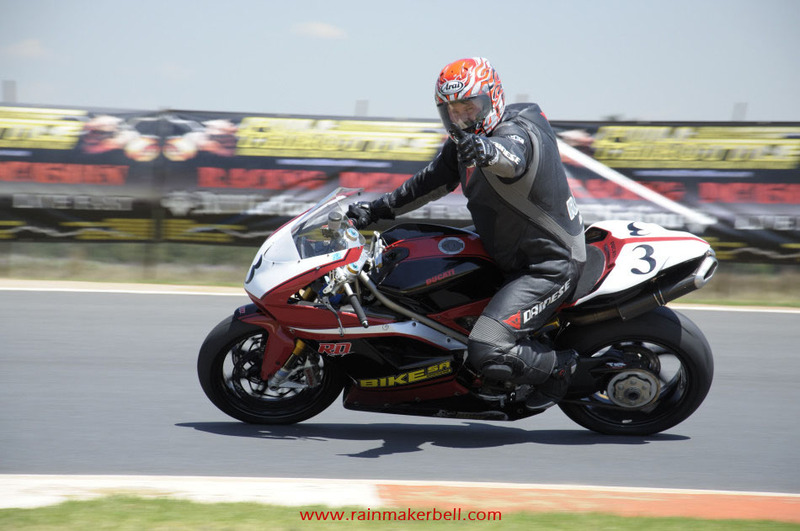 The motorcycle-train went past in a flash, everybody does their best to be a winner today. 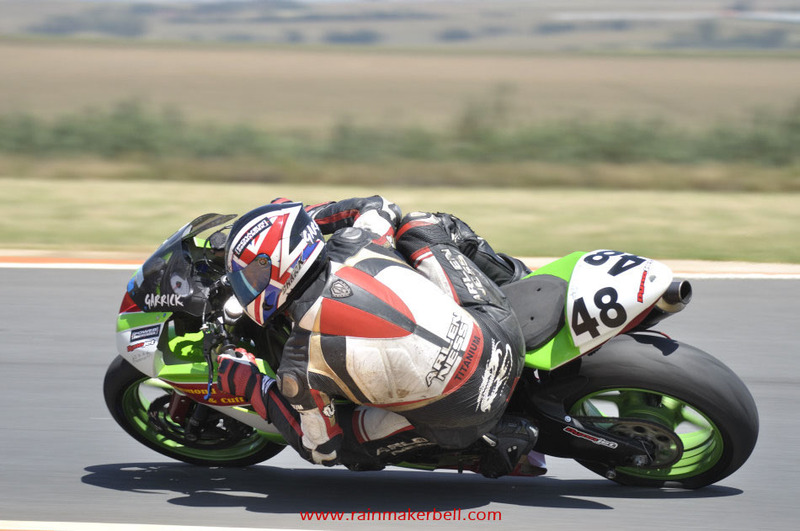 I don't know who should be more alert, the dog chasing the hare or the hare running with all its might to stay in front. 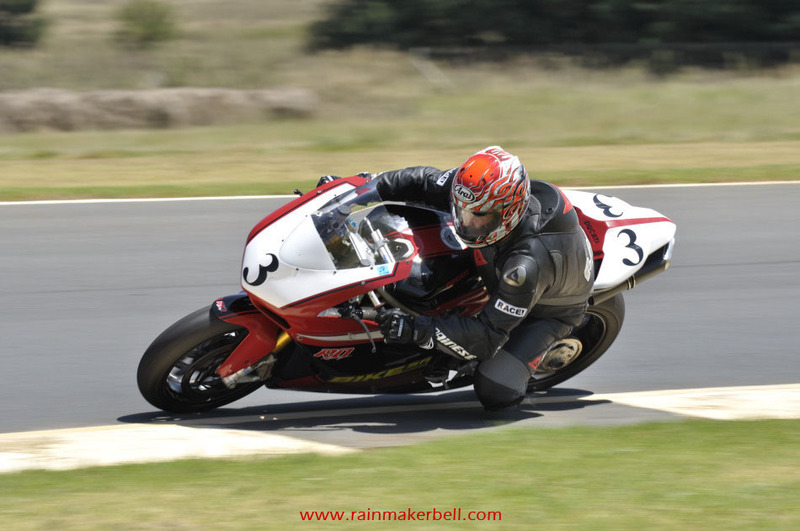 What I do know, is the frontrunner cannot have a momentary lapse or the prize will be gone in an instant. 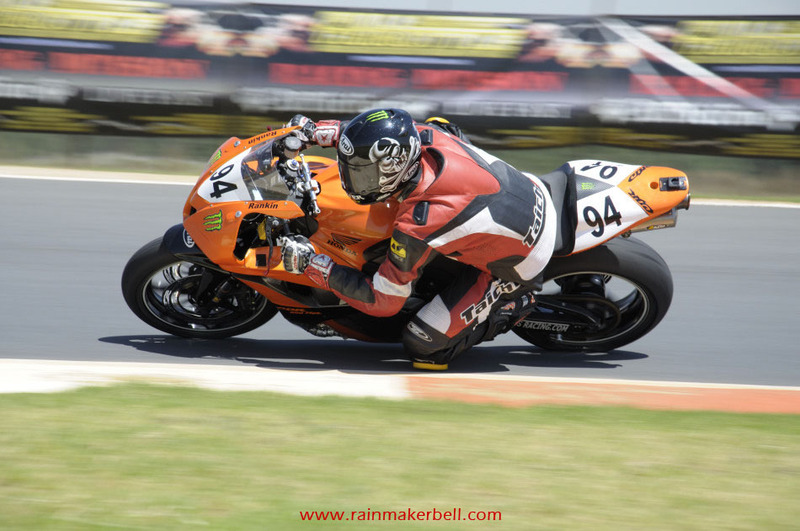 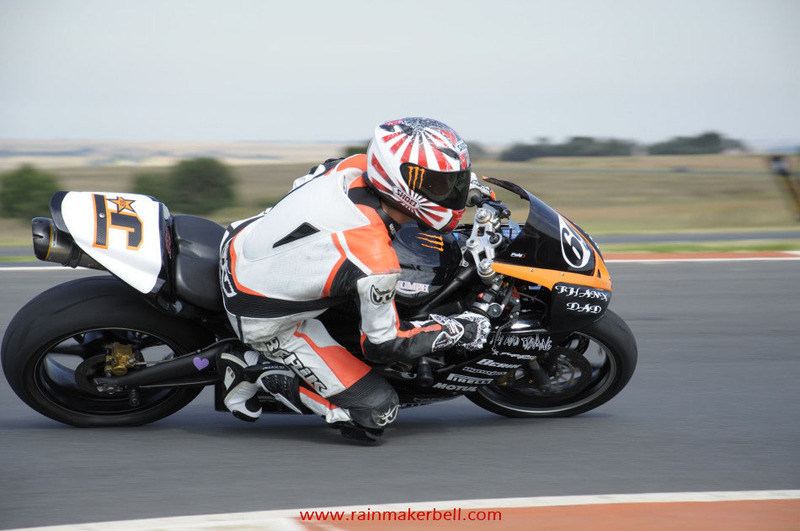 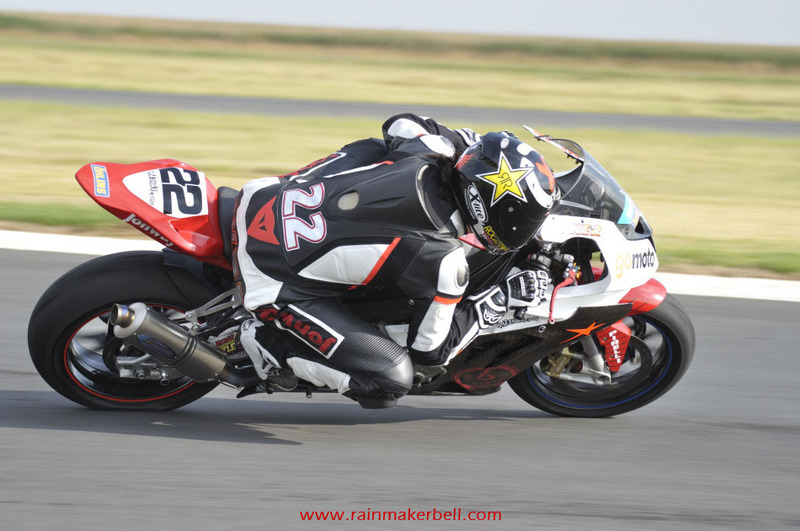 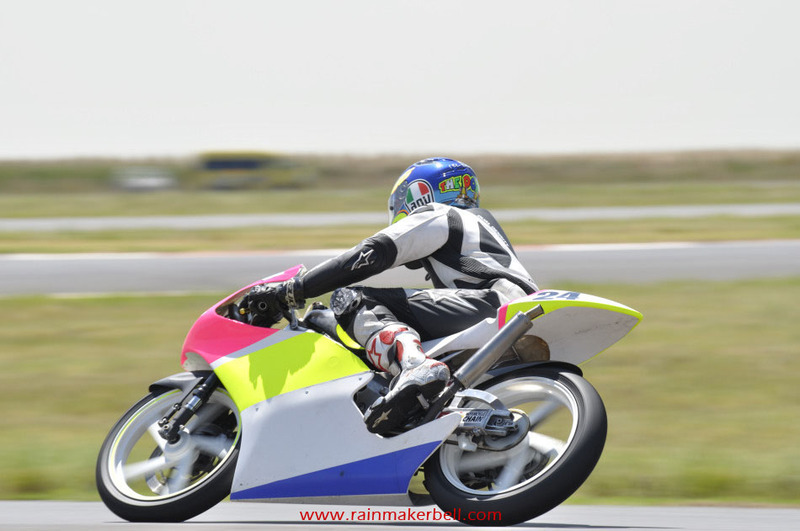 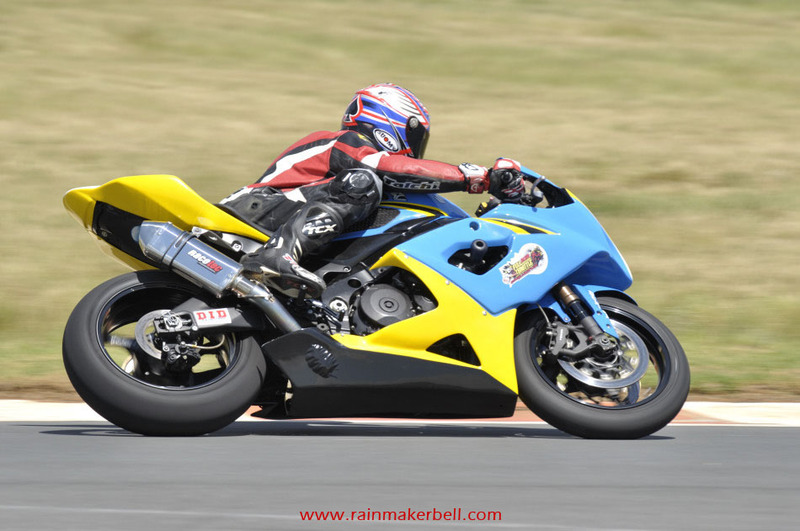 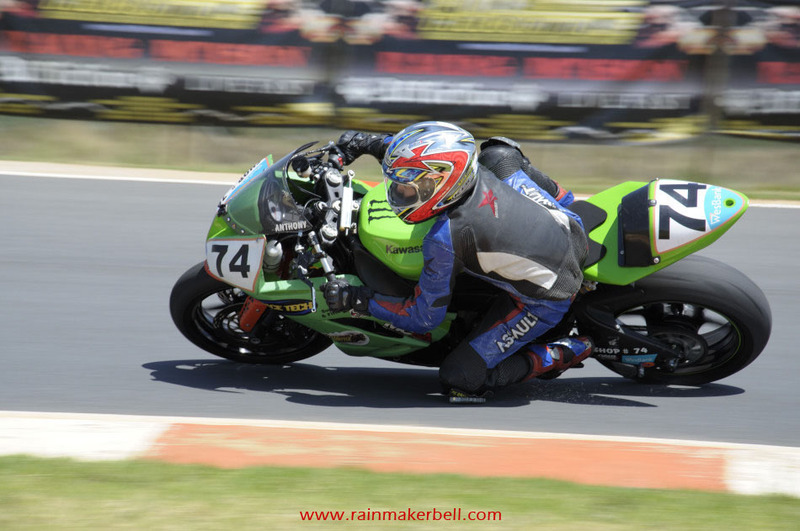 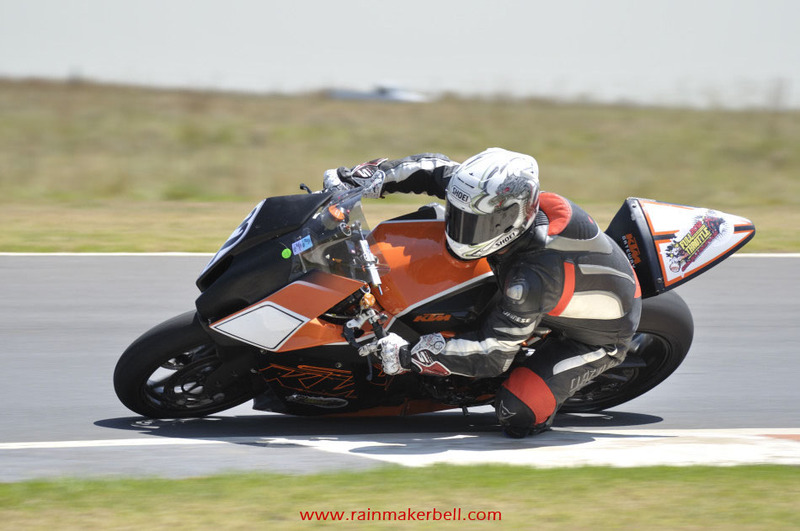 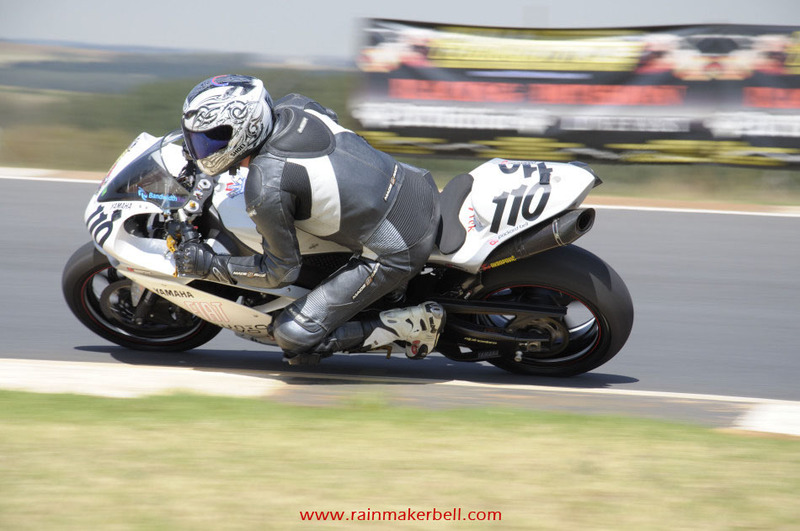 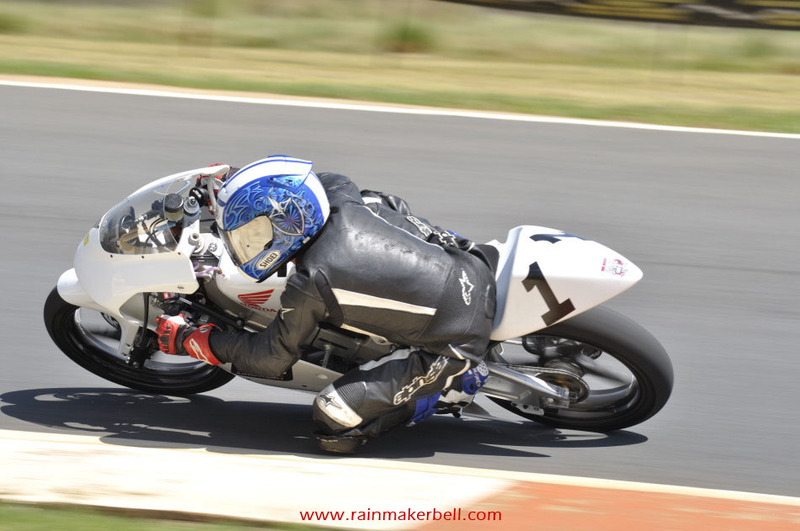 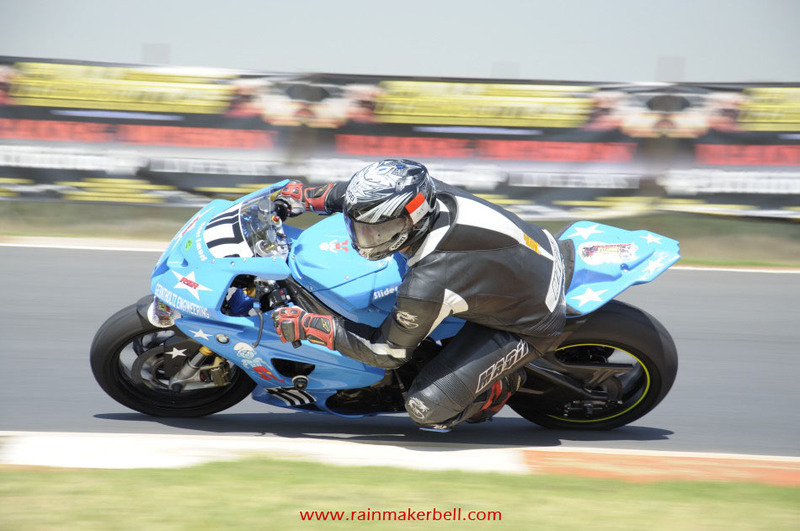 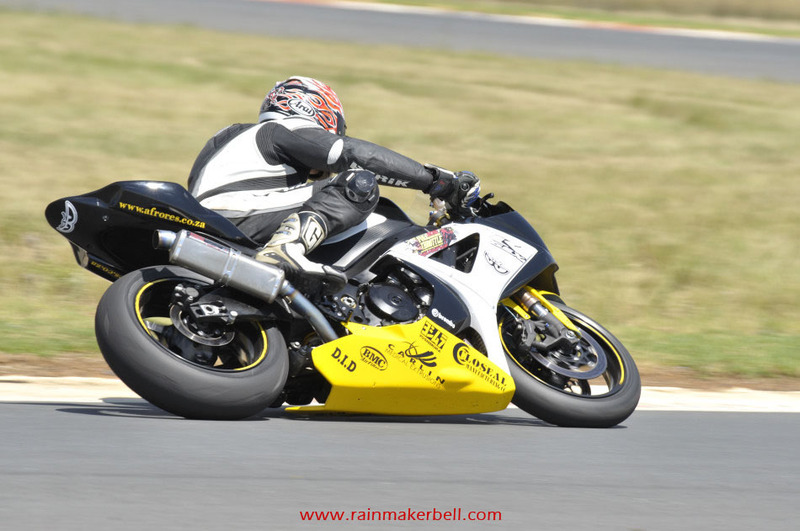 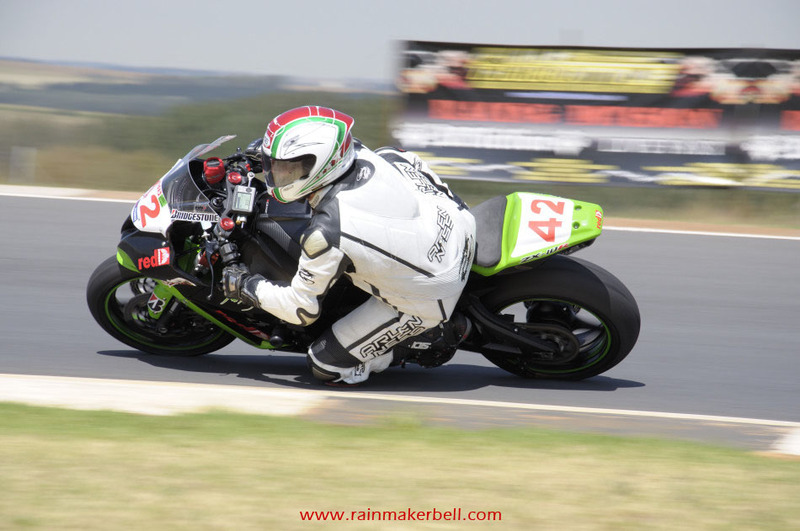 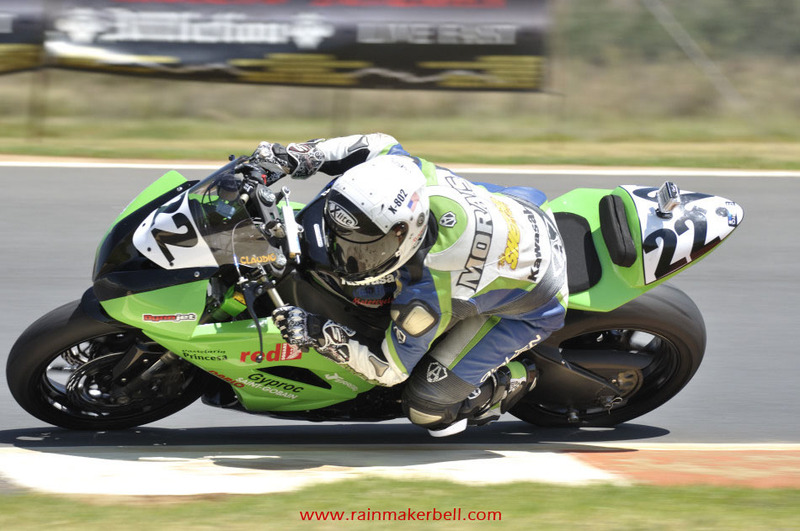 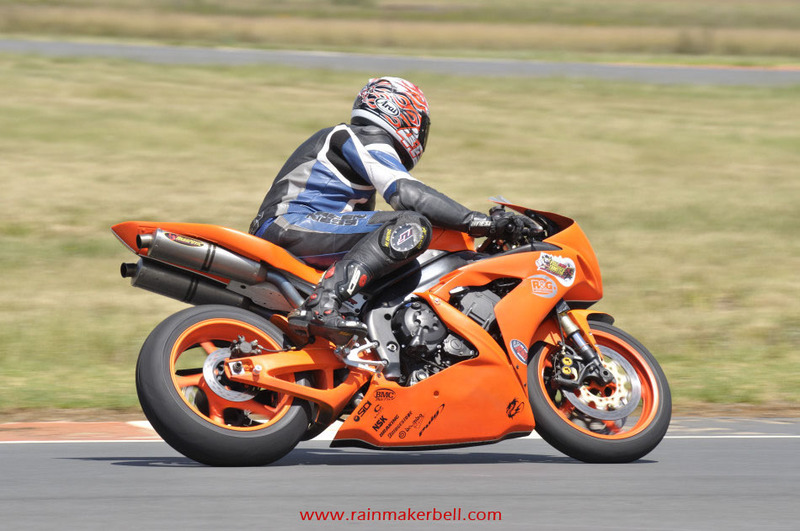 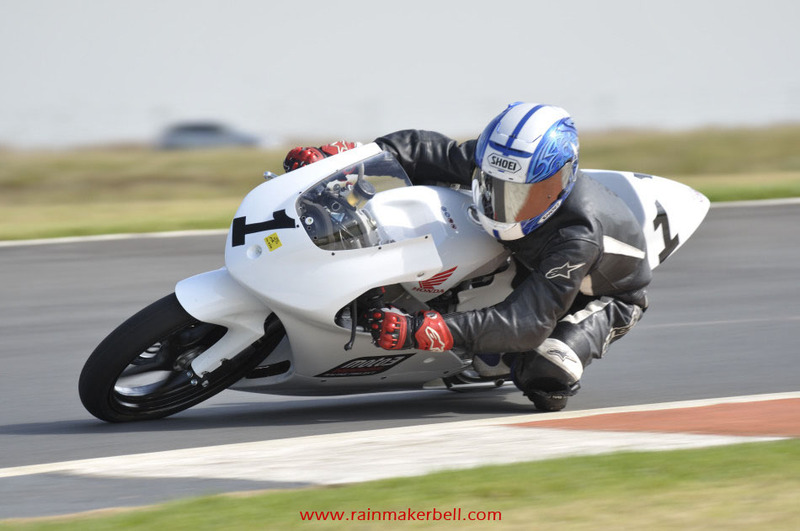 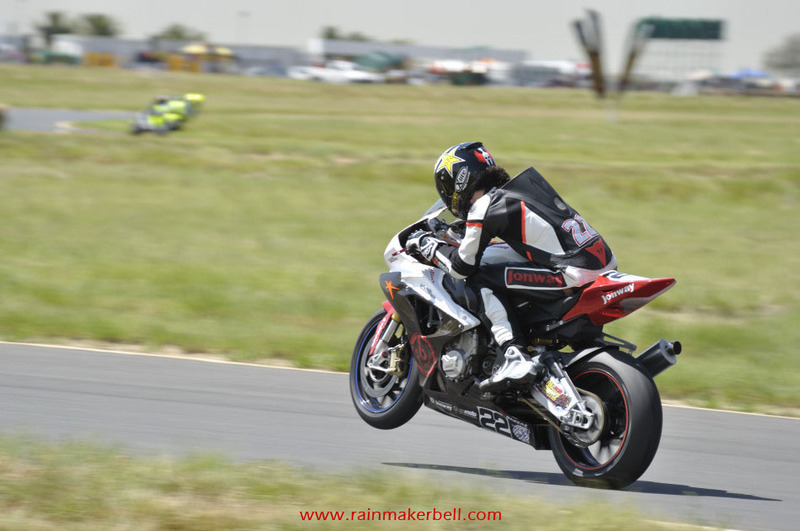 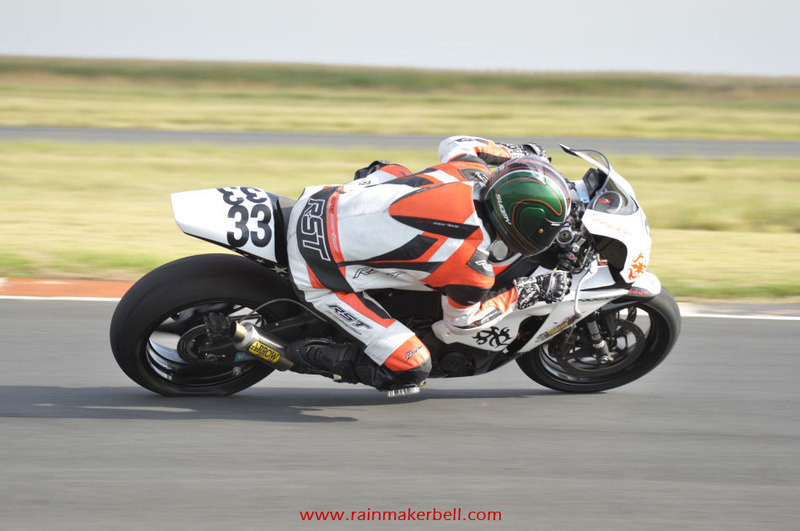 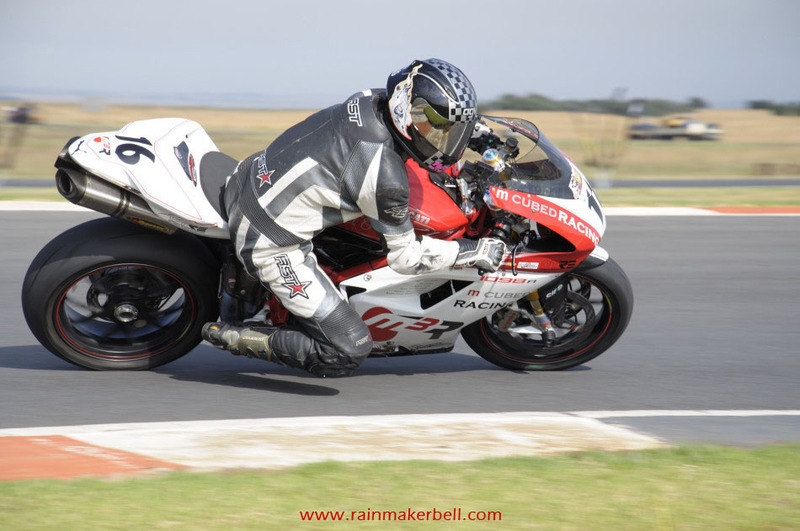 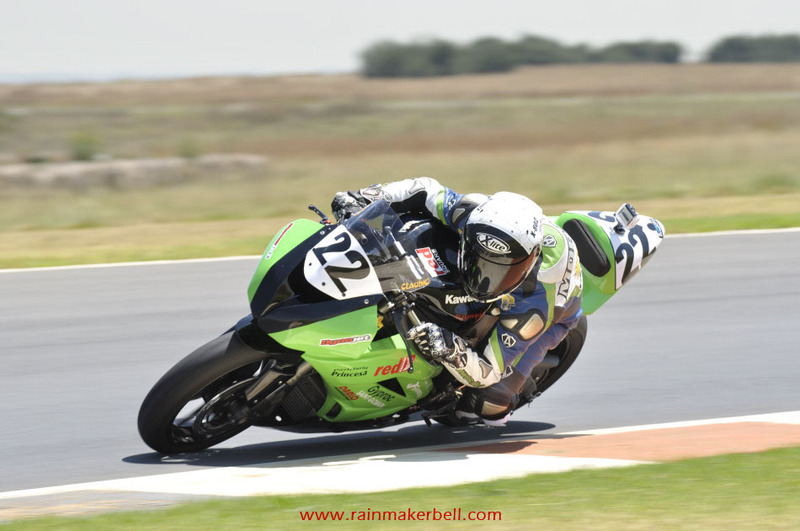 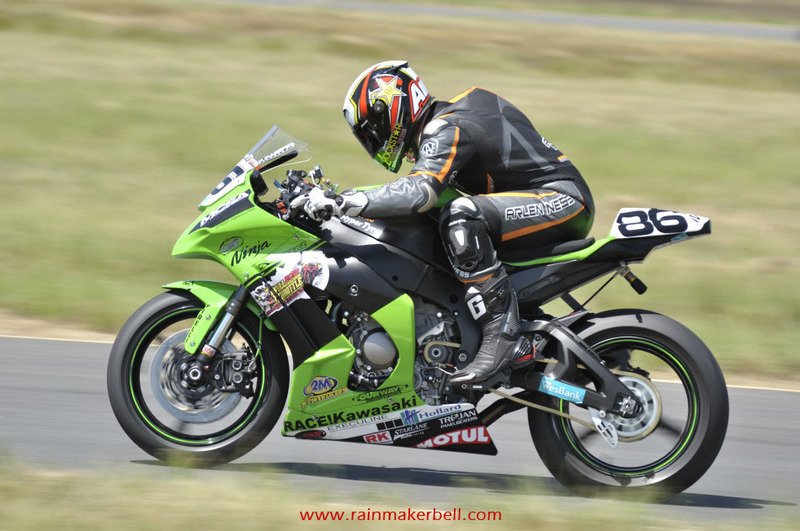 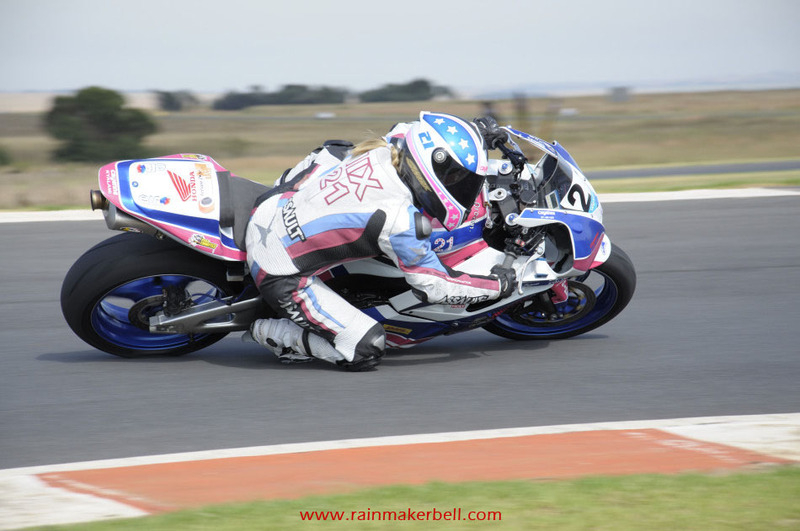 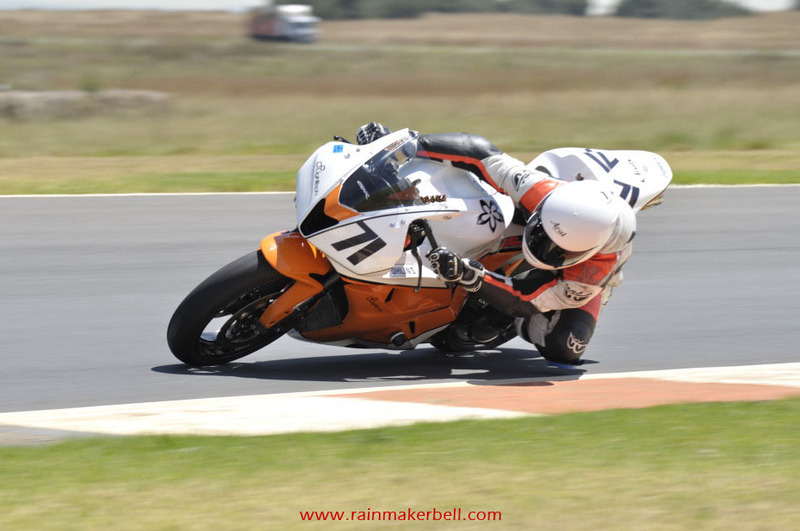 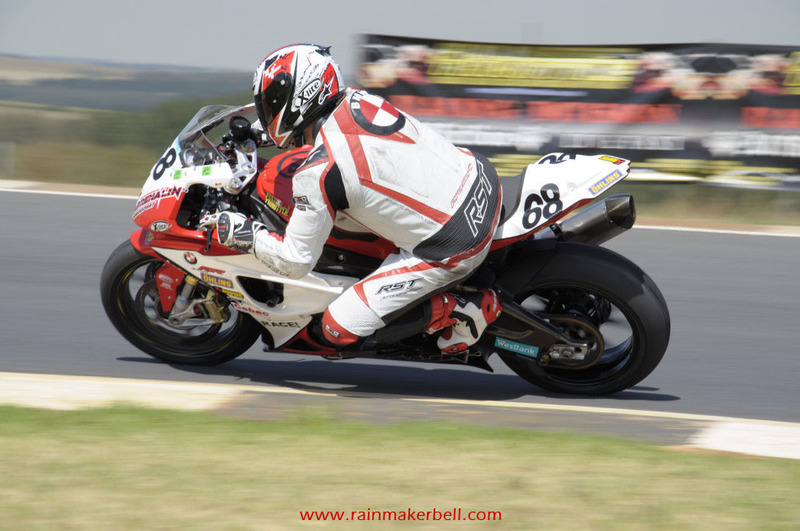 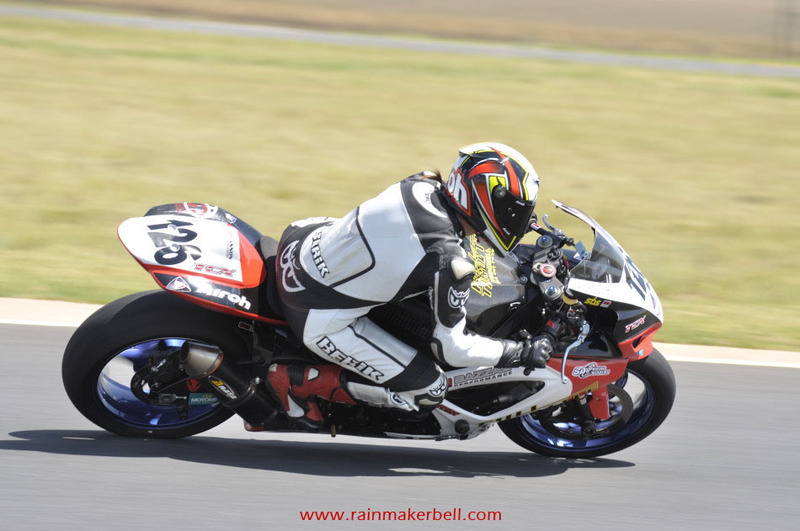 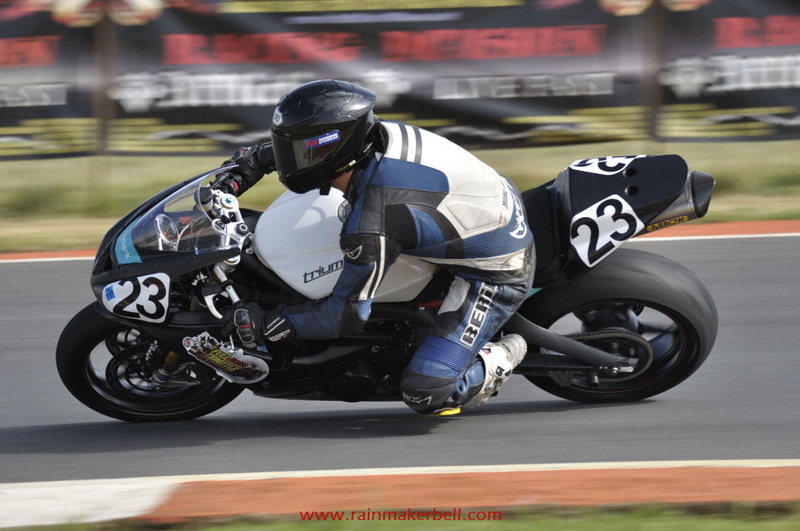 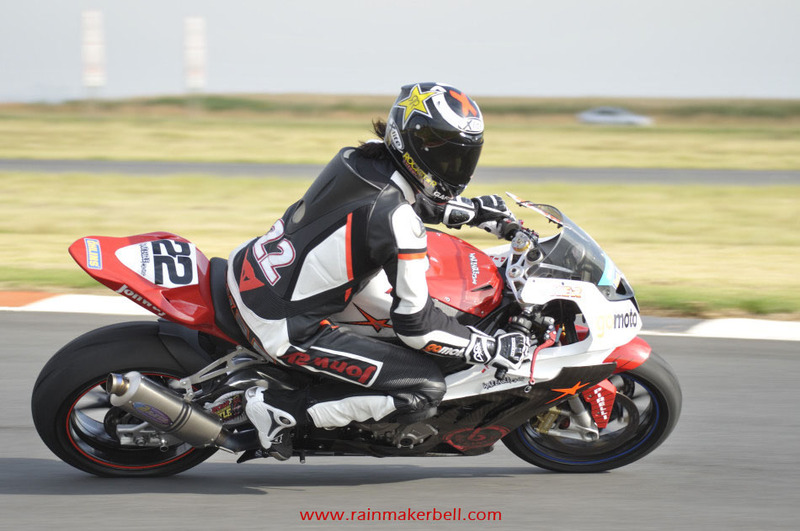 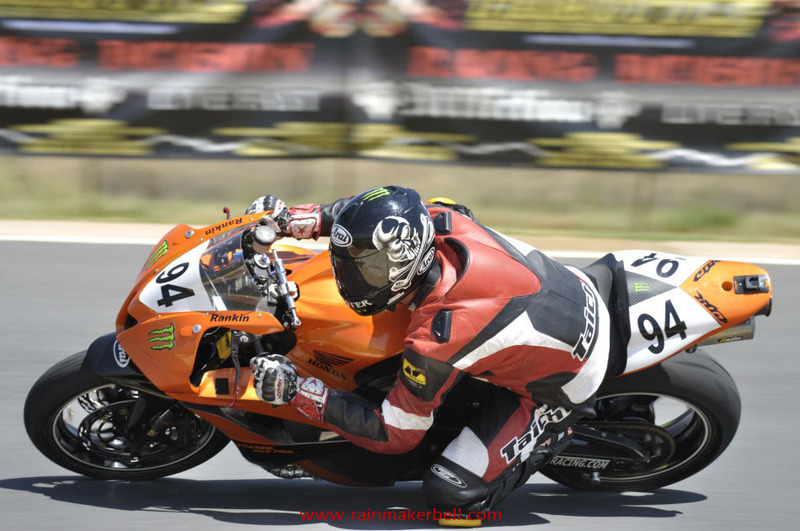 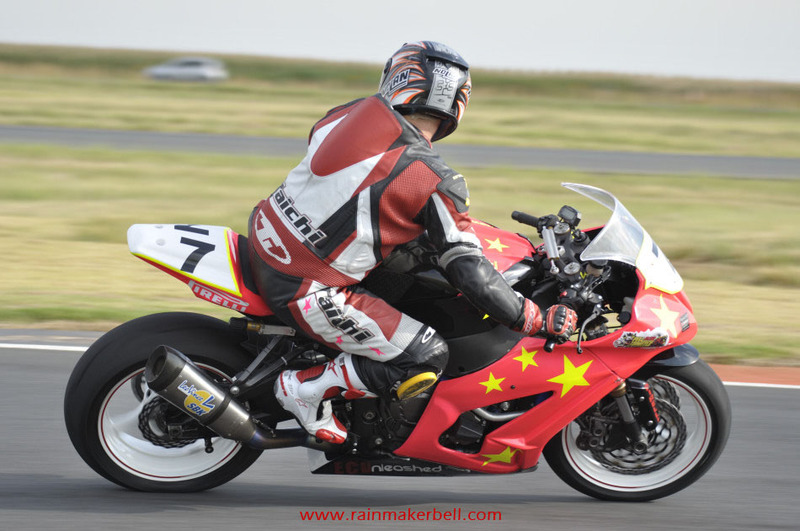 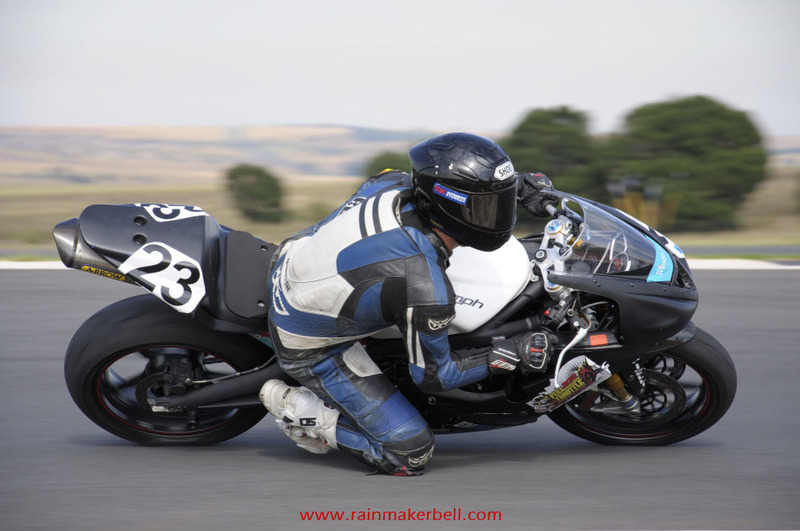 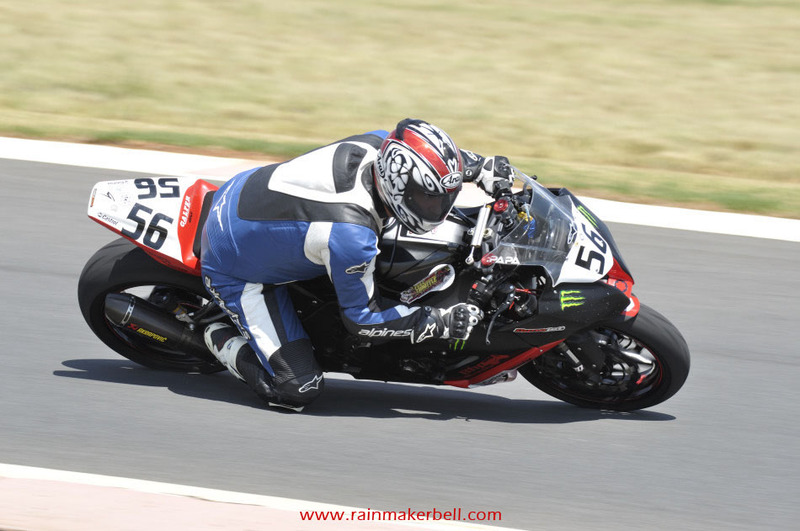 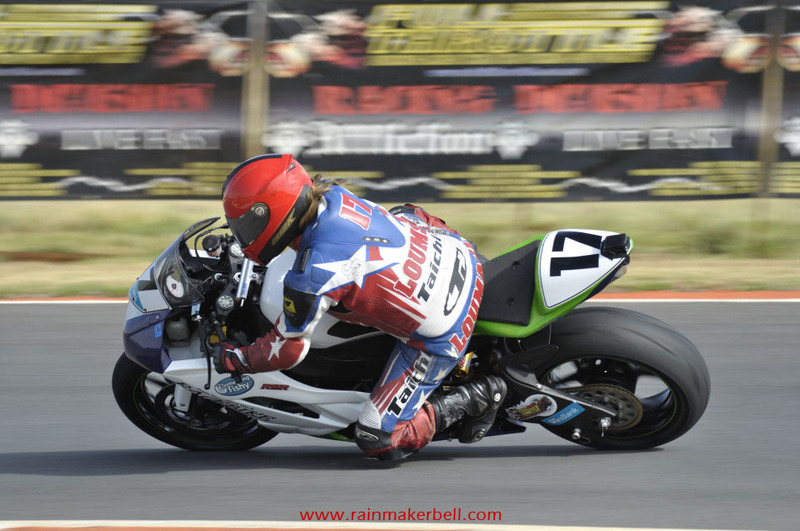 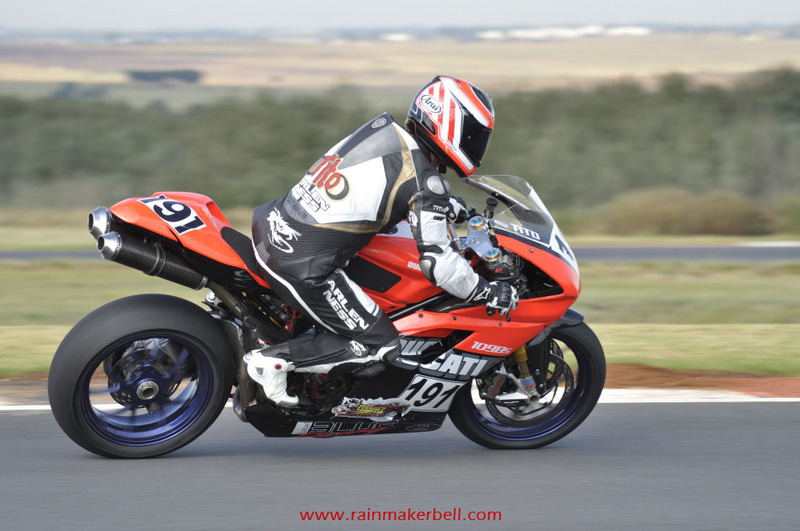 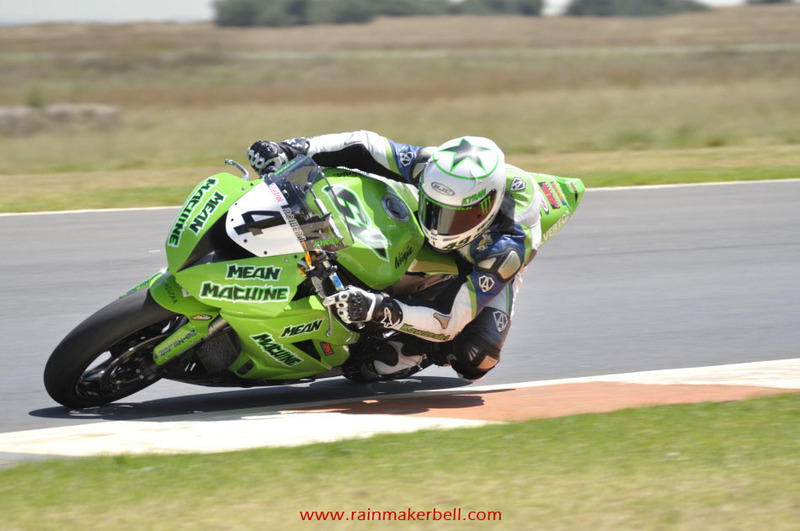 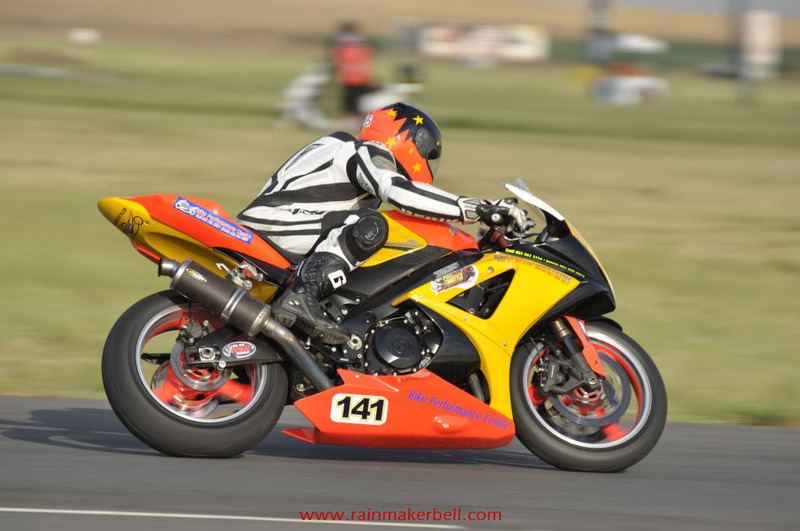 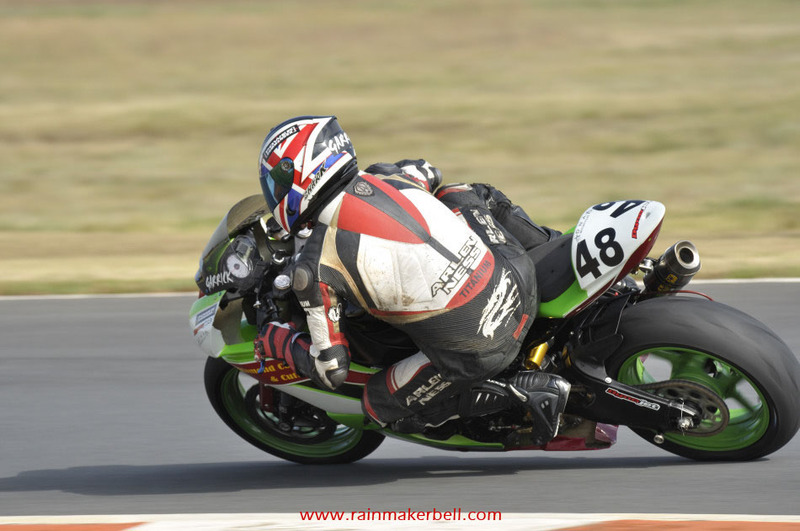 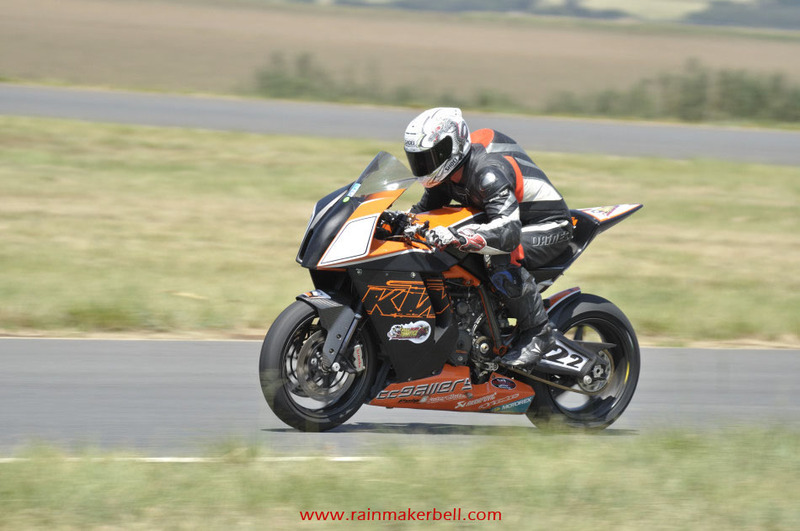 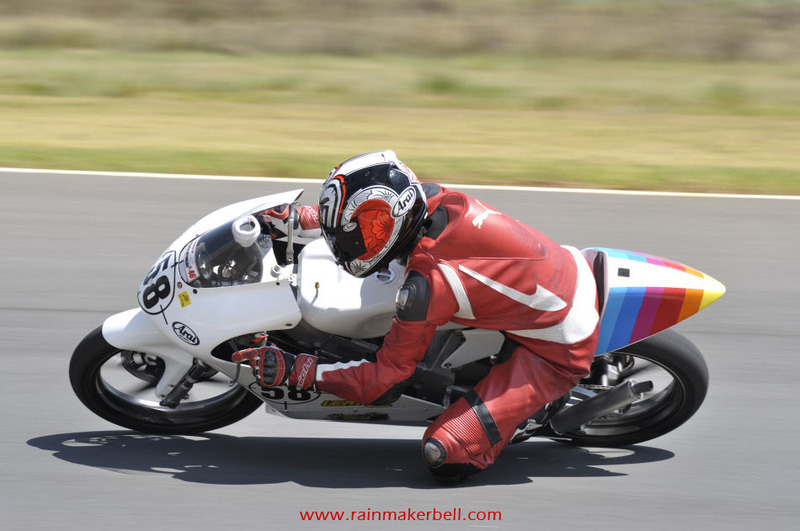 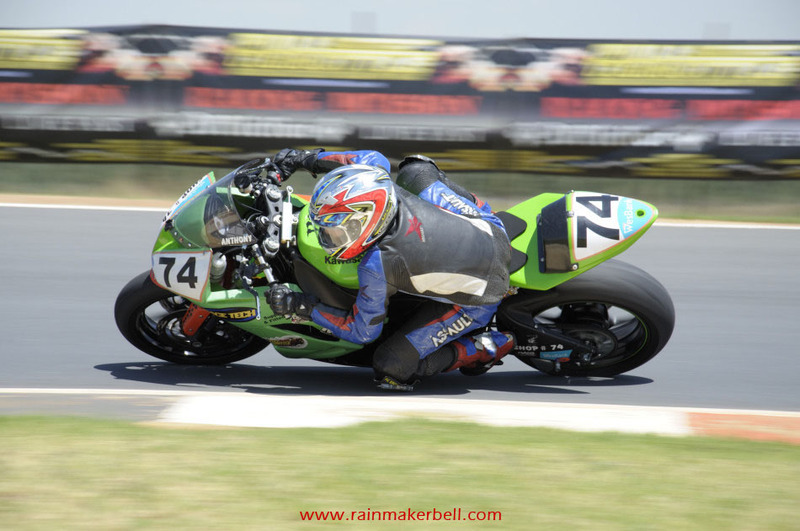 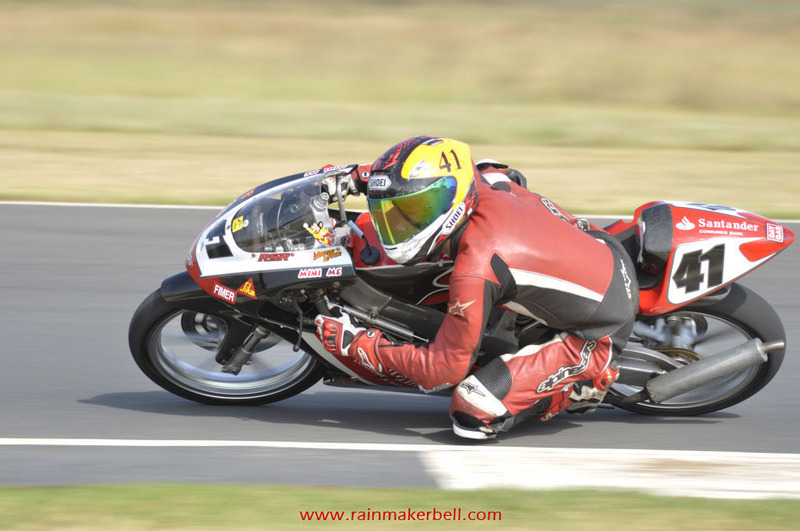 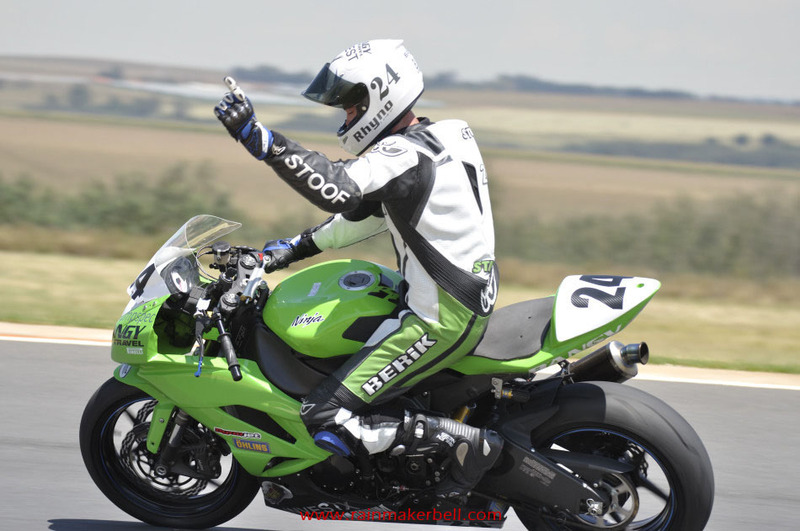 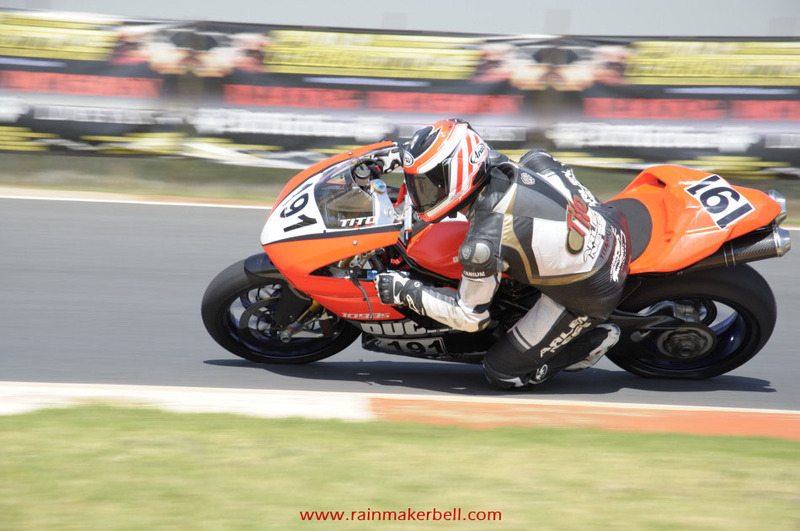 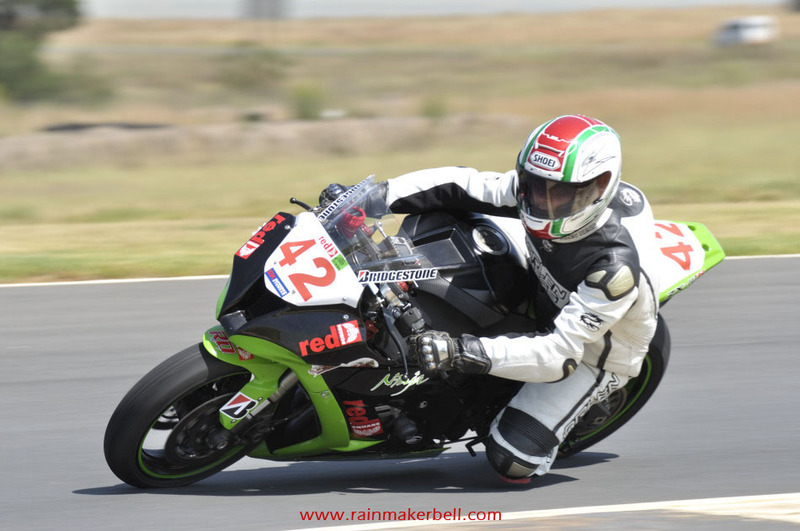 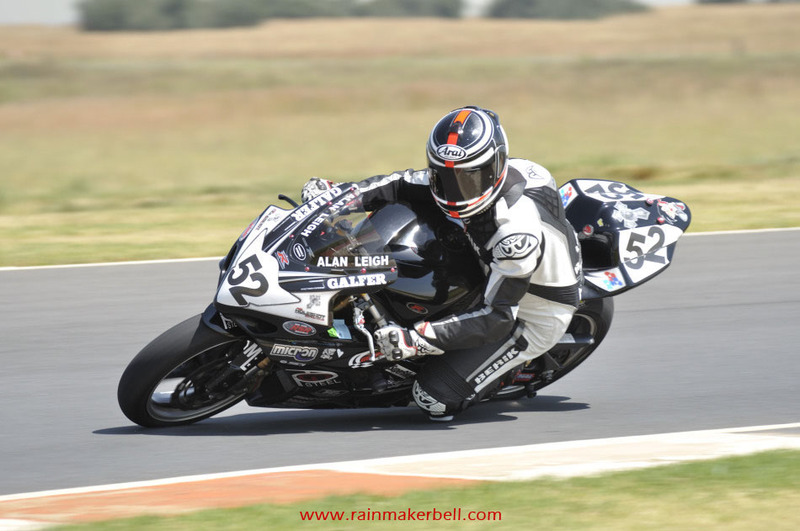 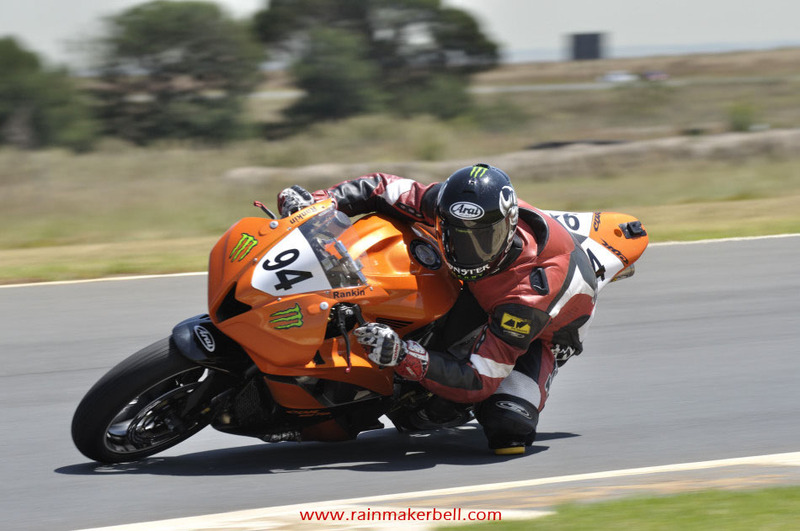 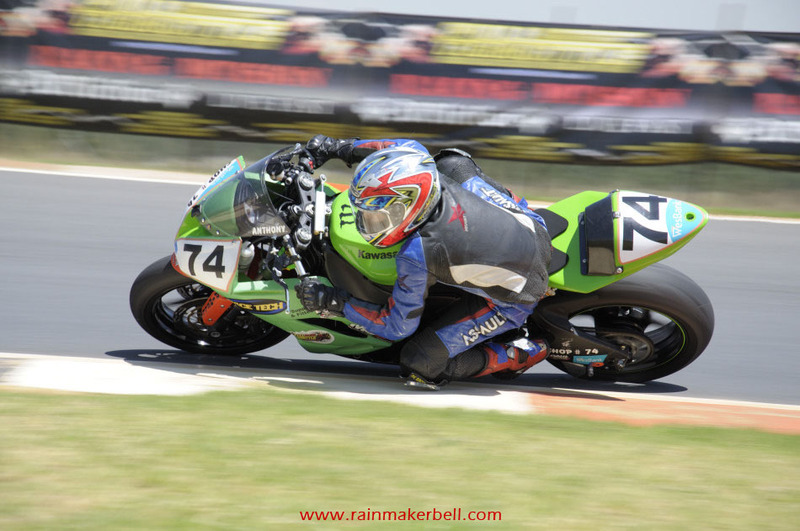 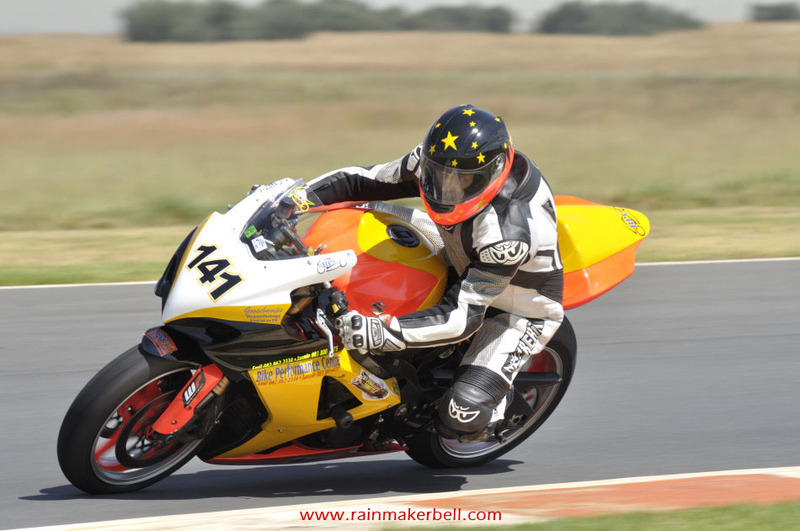 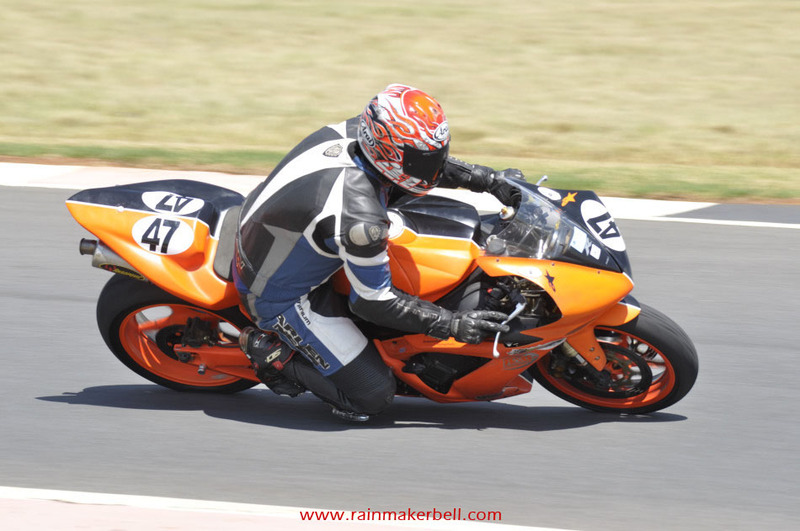 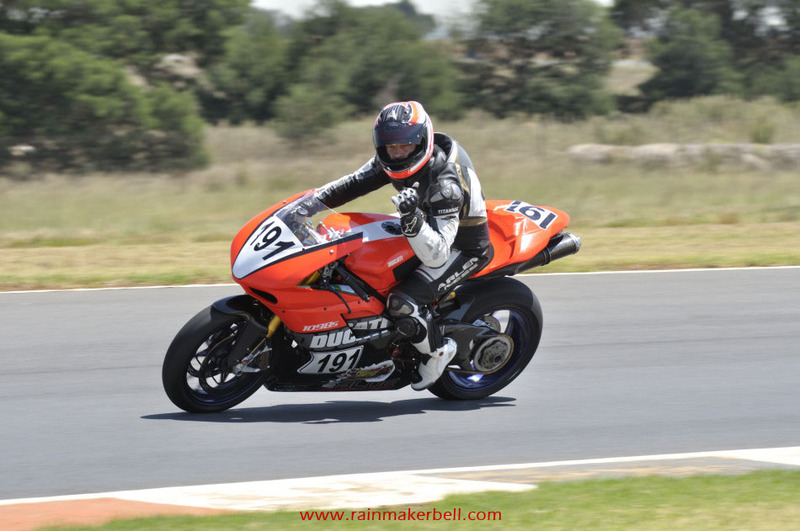 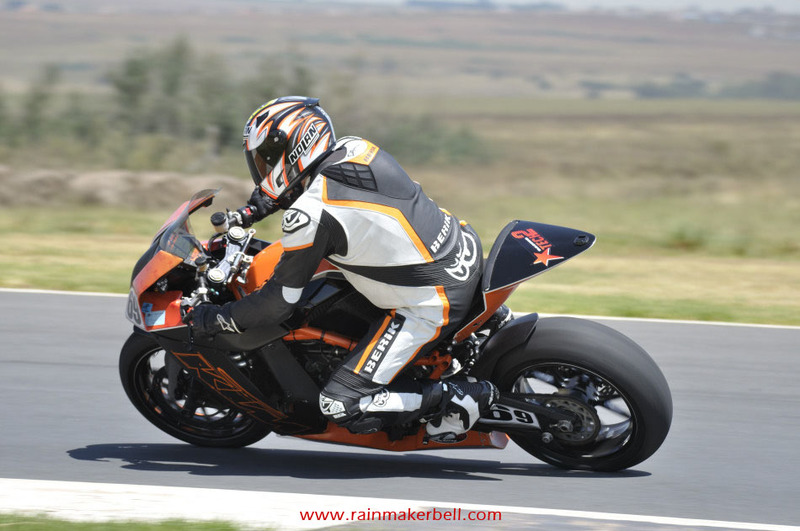 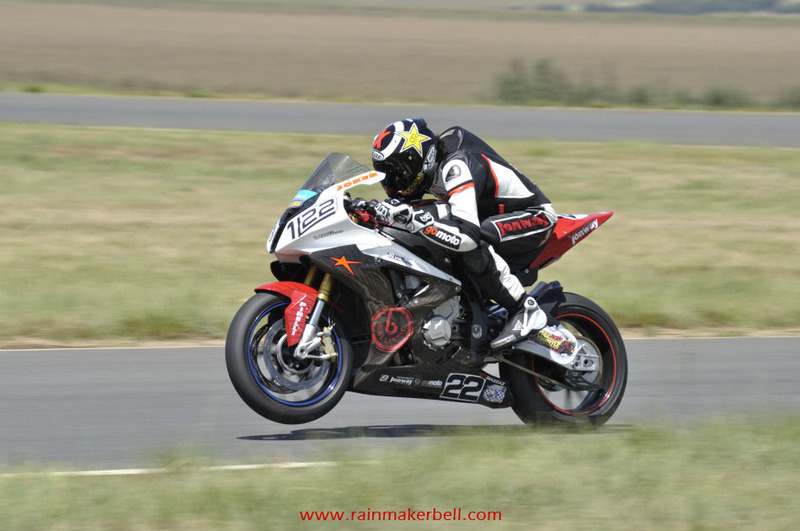 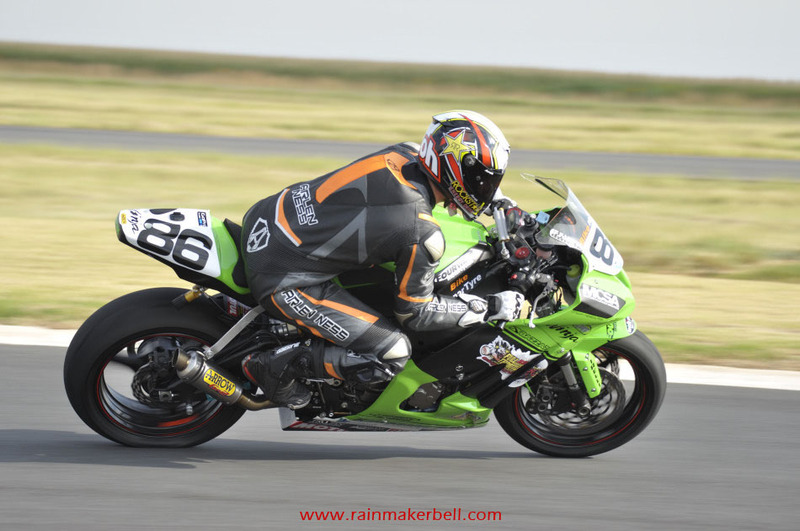 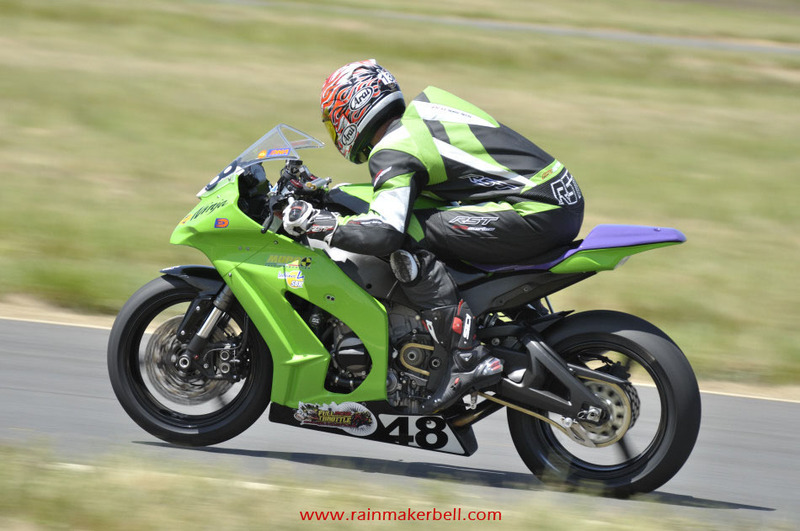 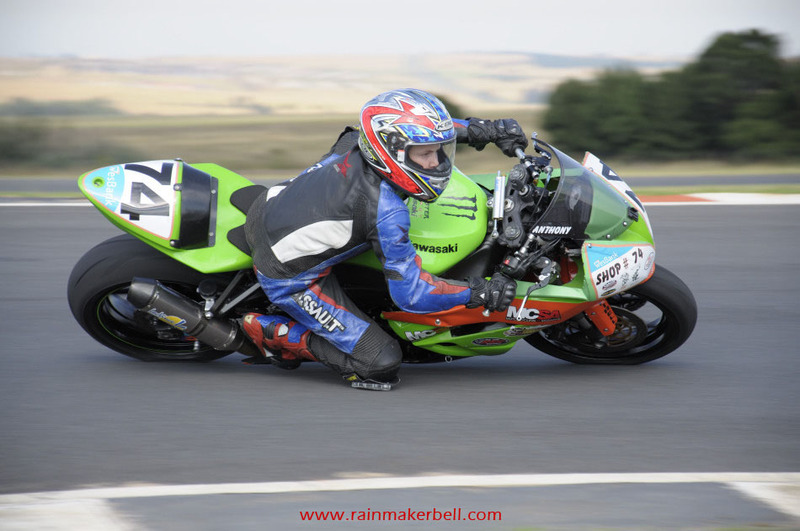 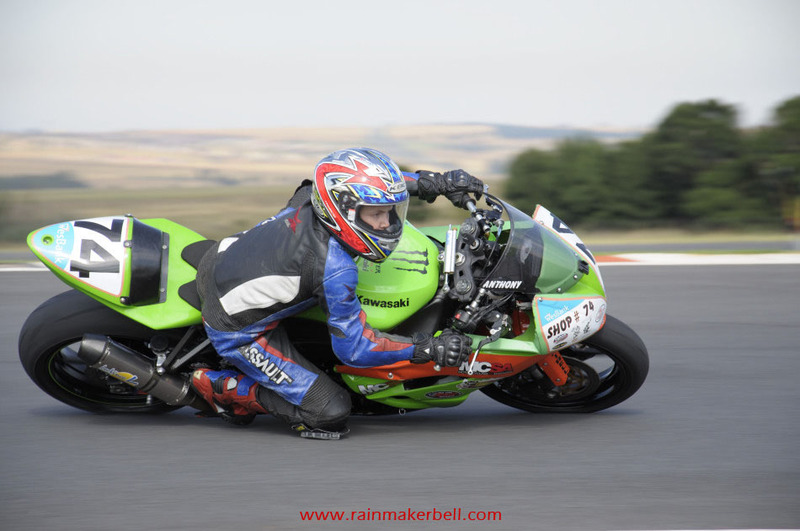 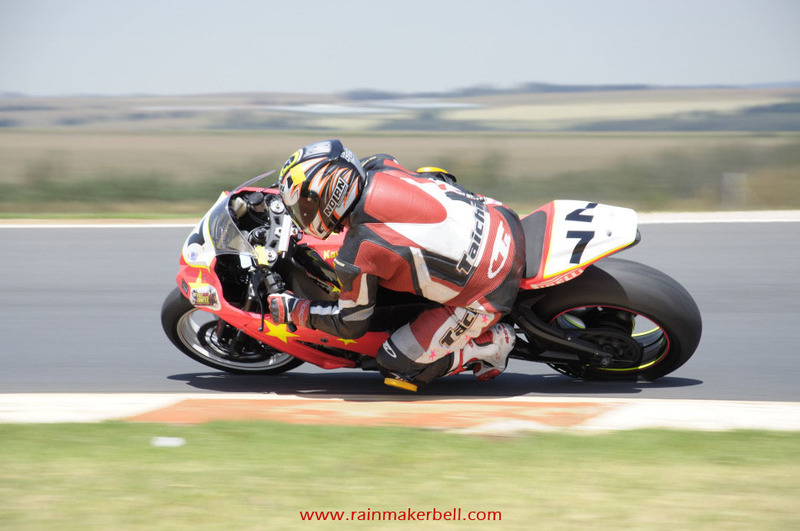 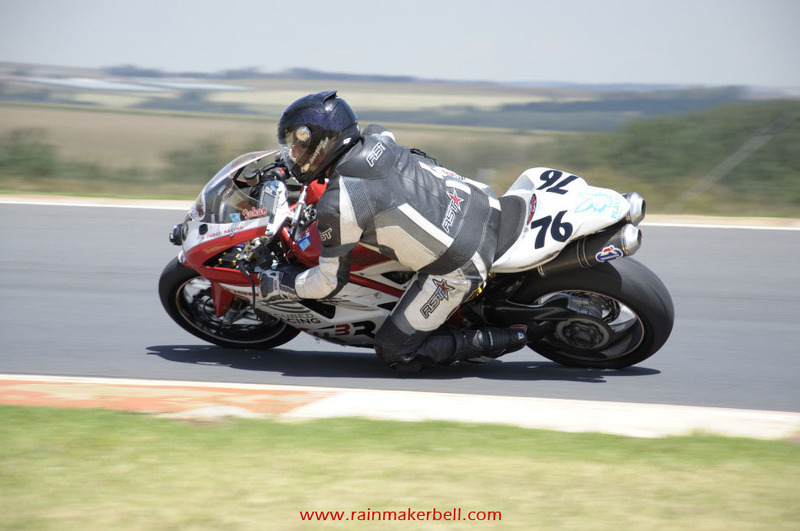 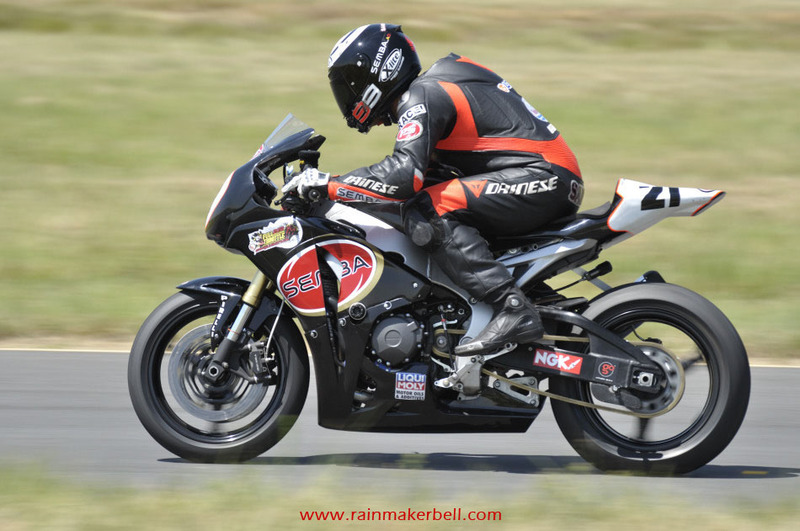 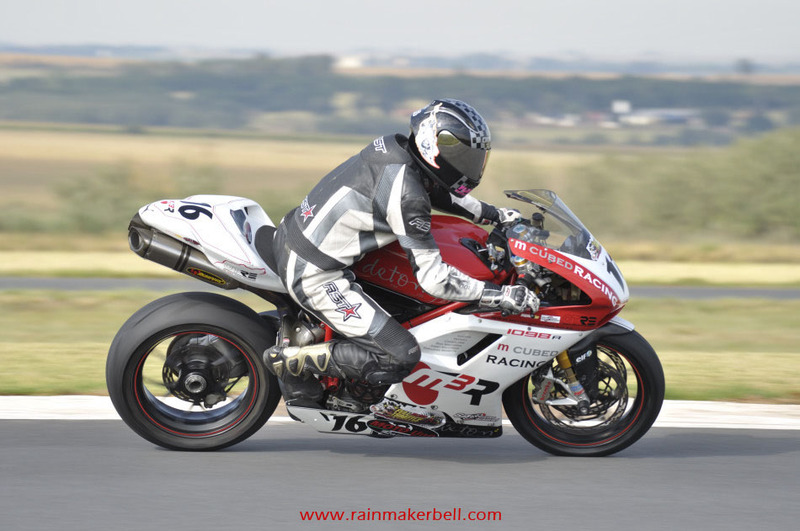 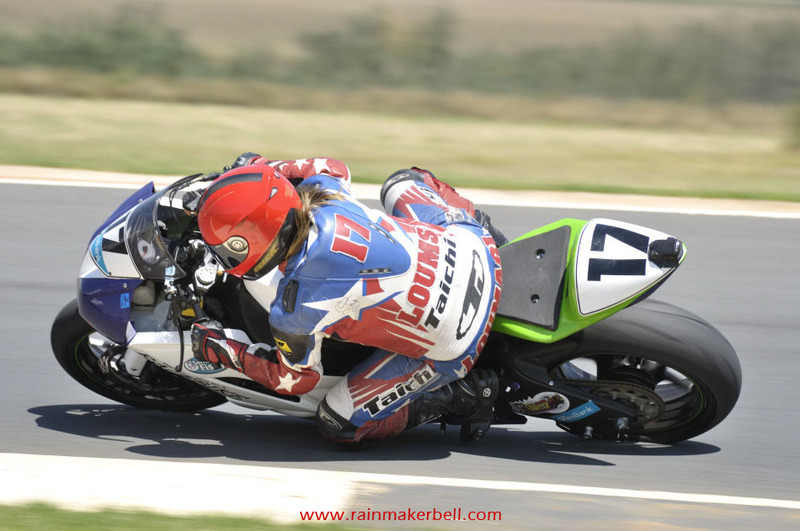 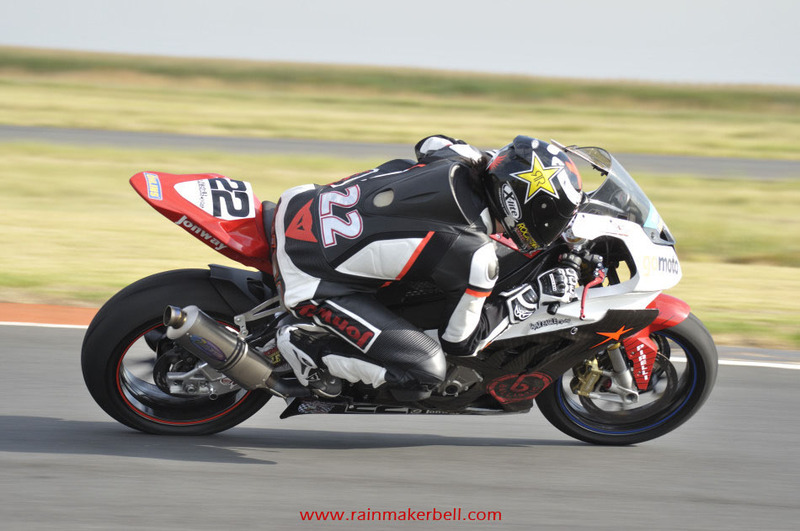 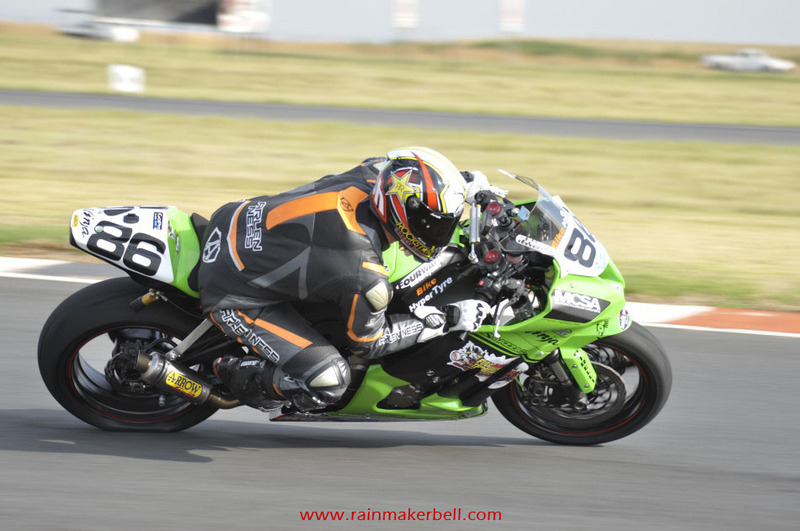 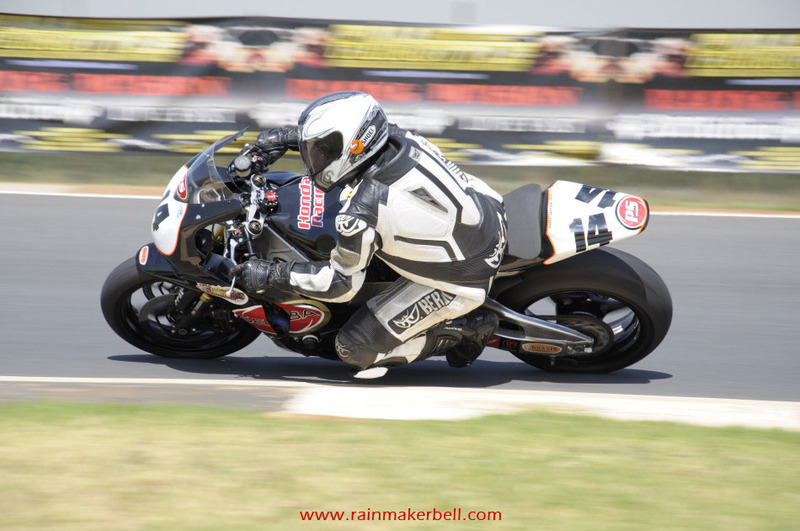 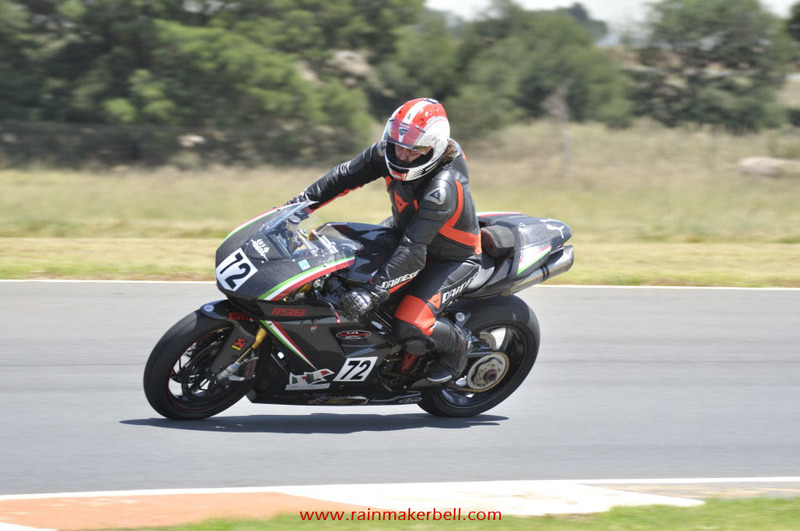 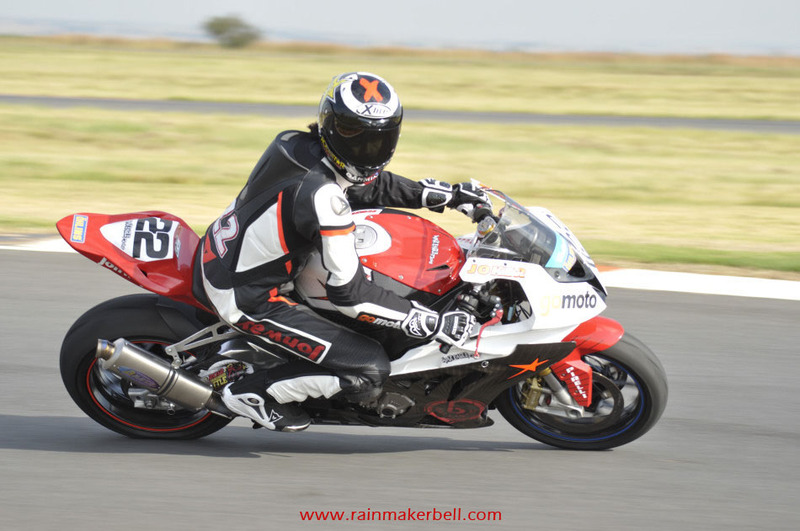 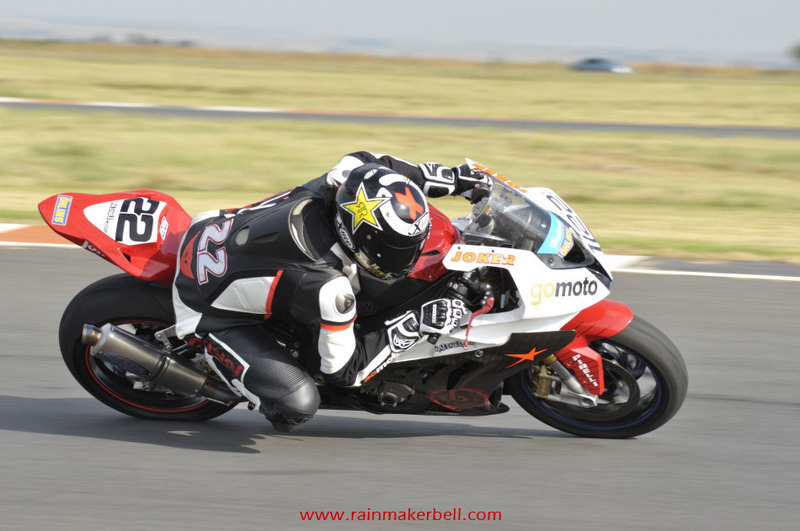 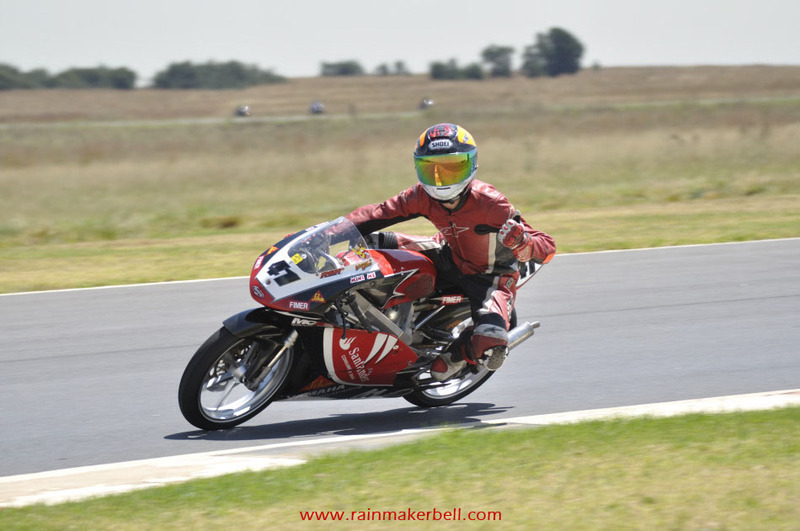 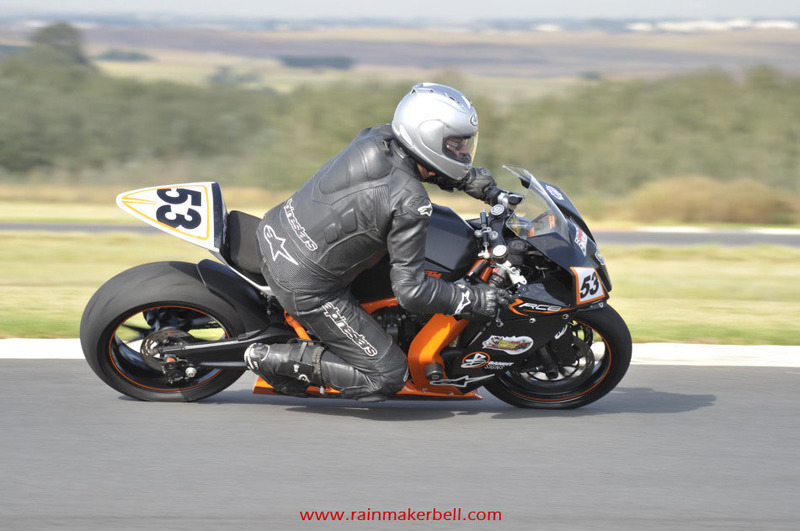 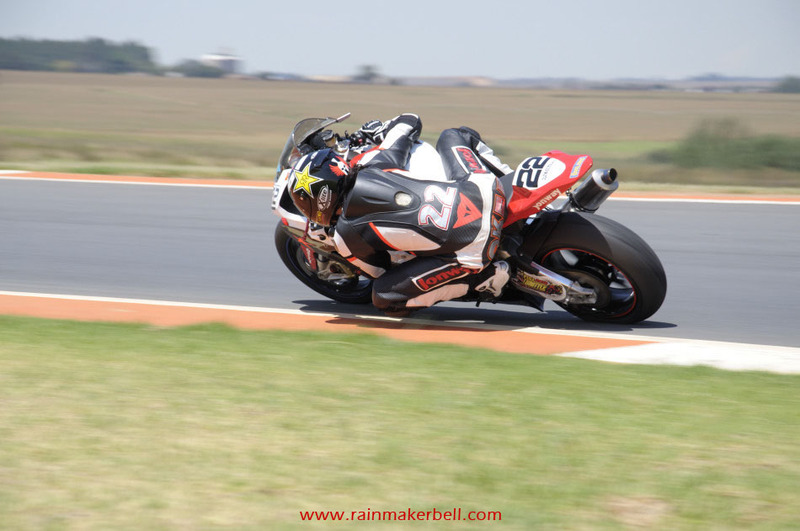 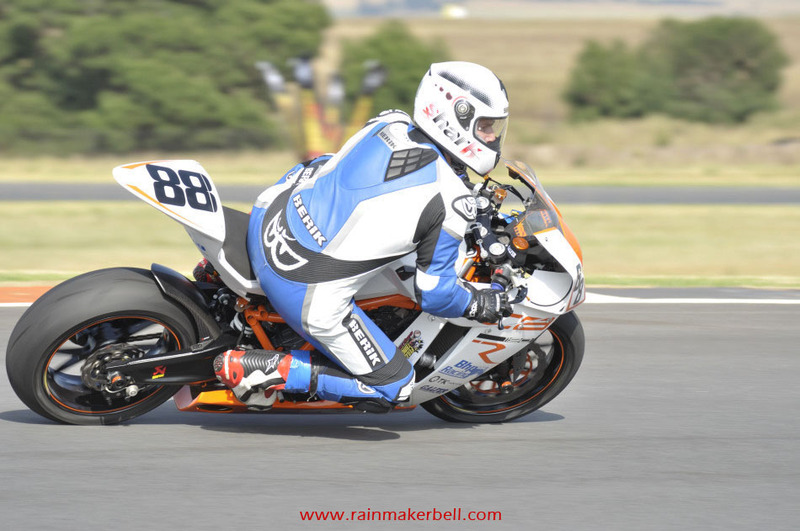 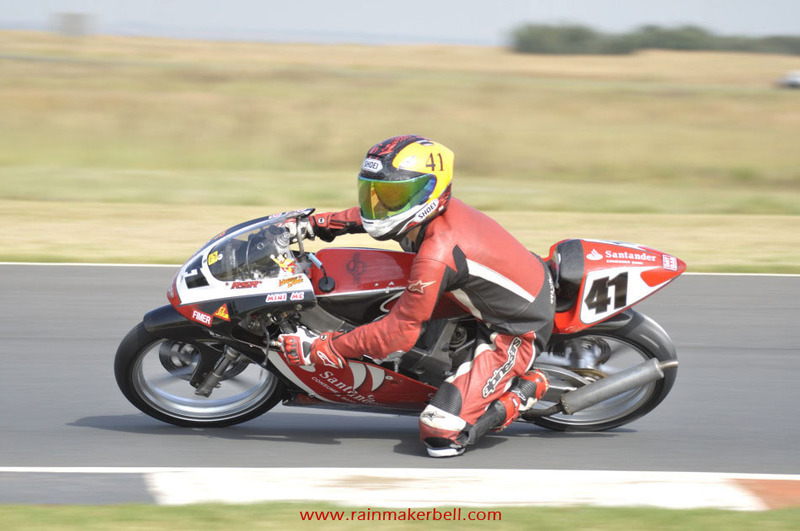 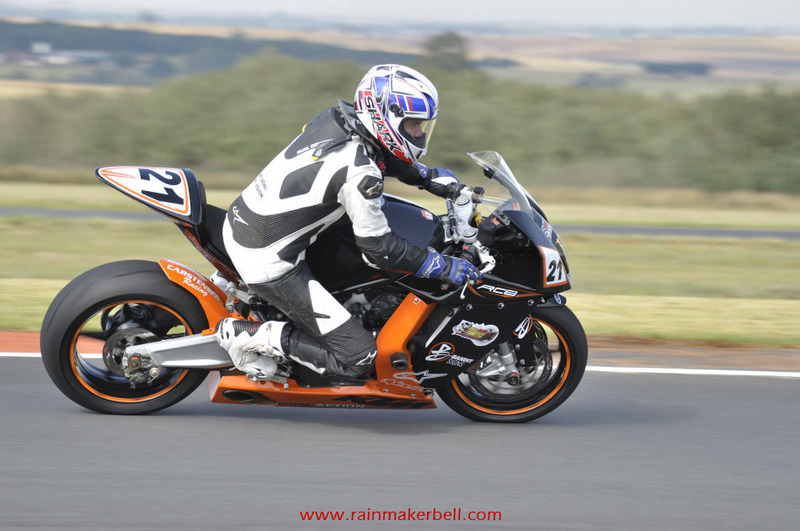 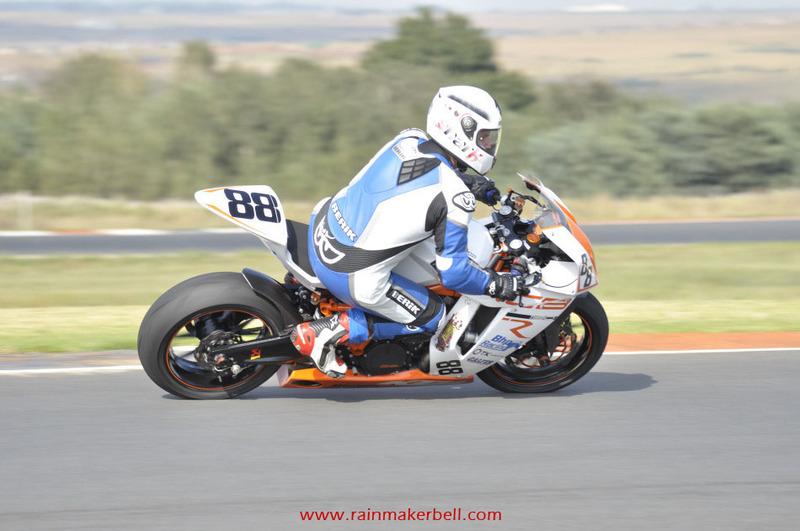 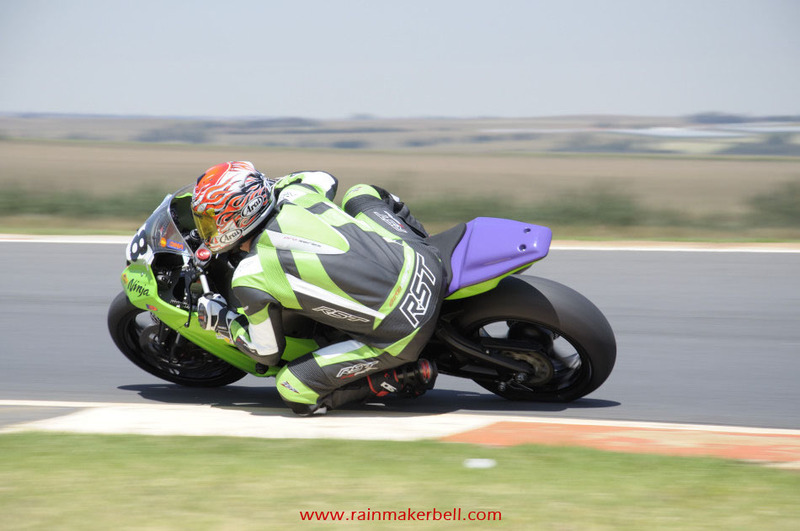 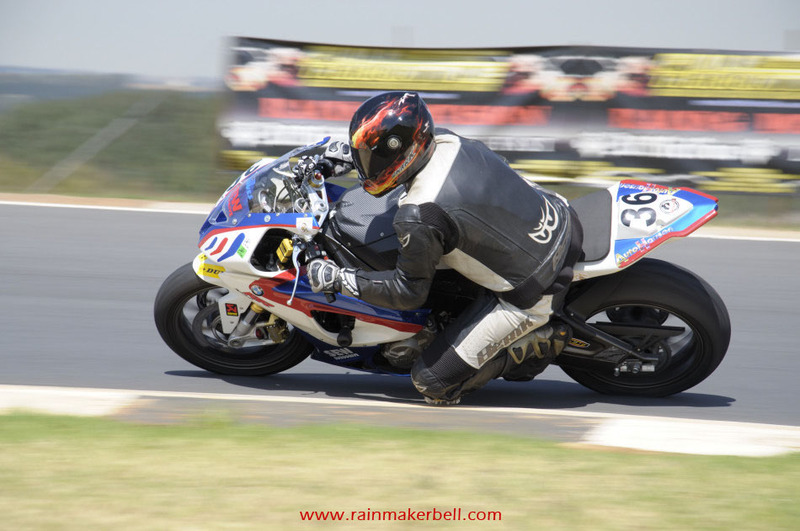 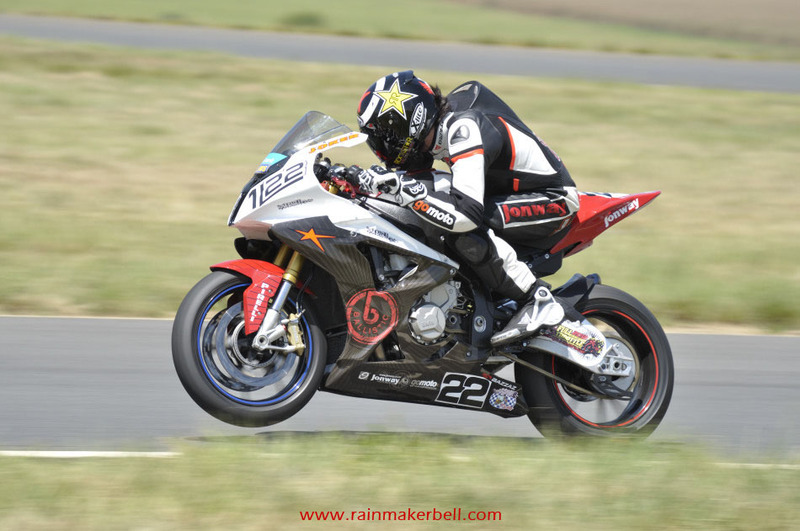 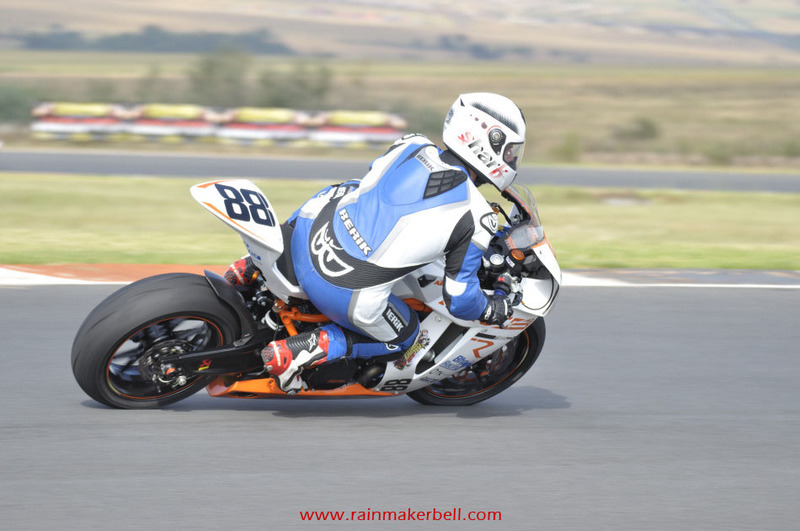 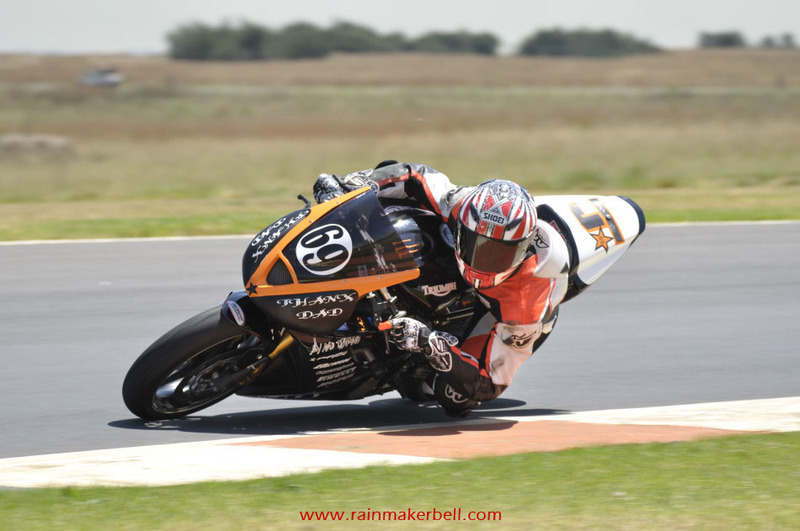 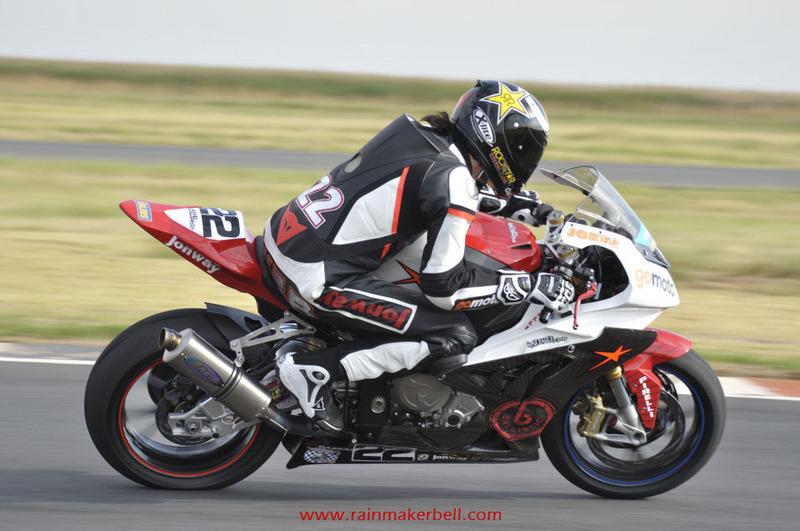 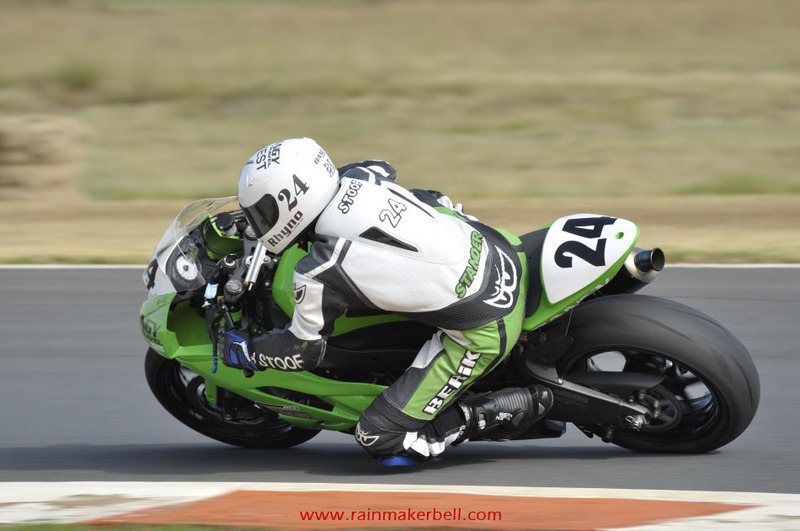 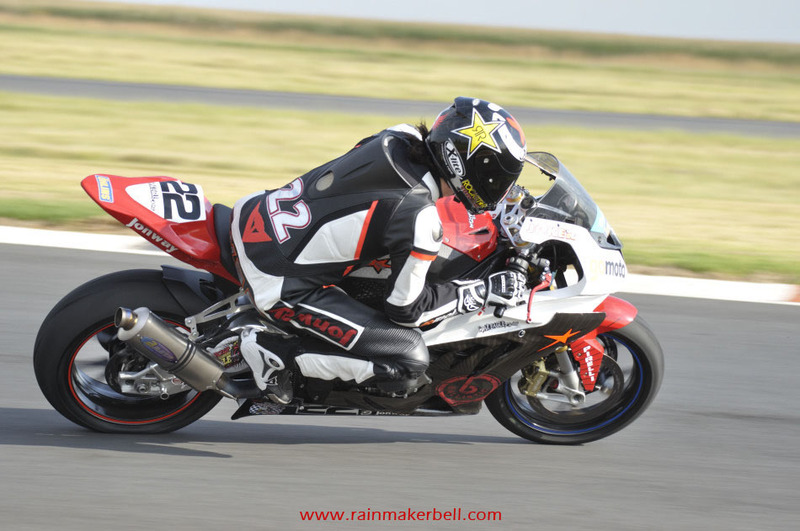 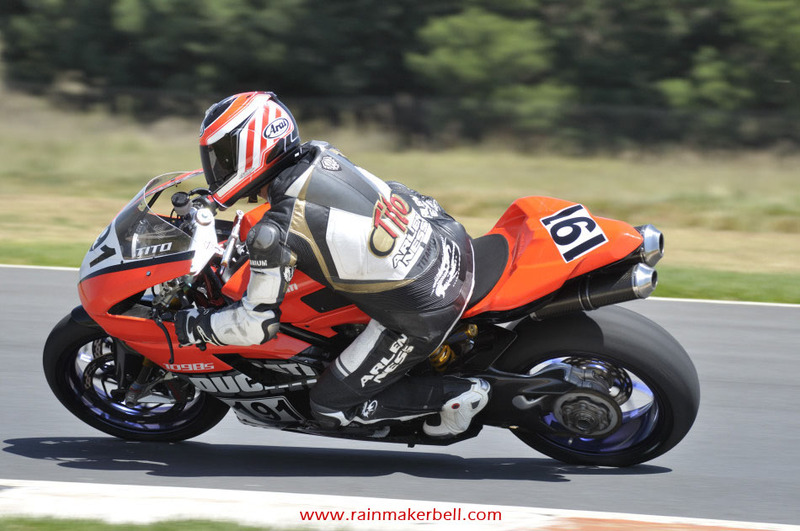 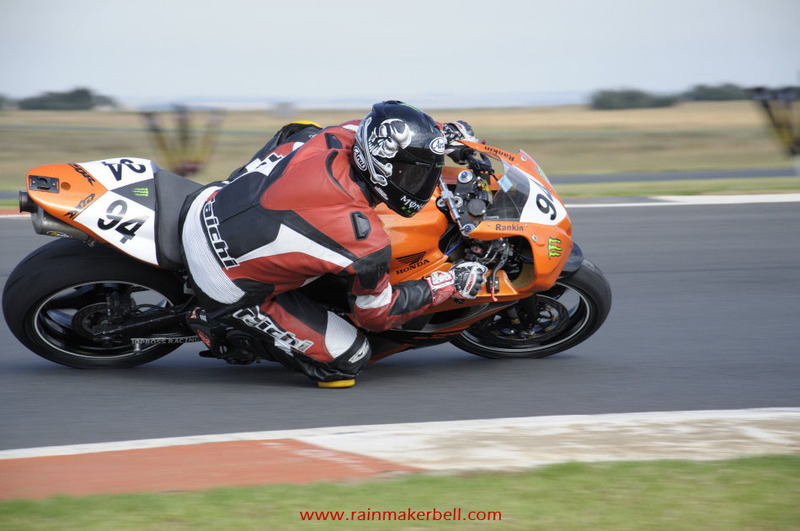 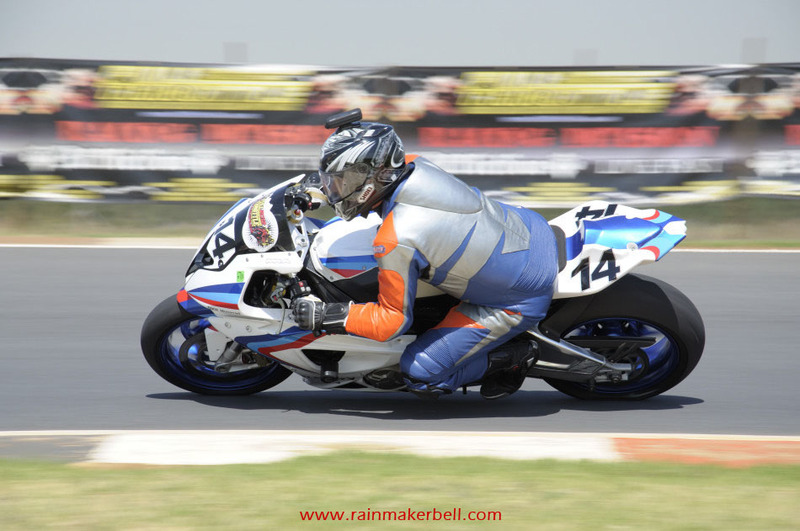 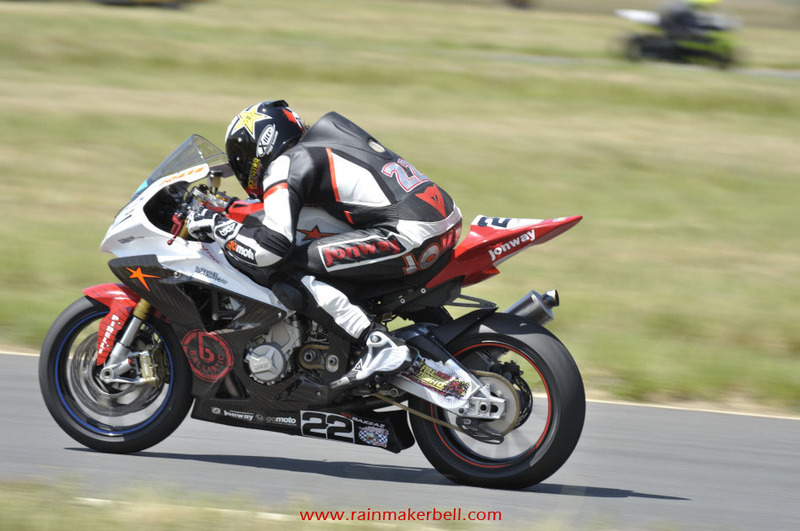 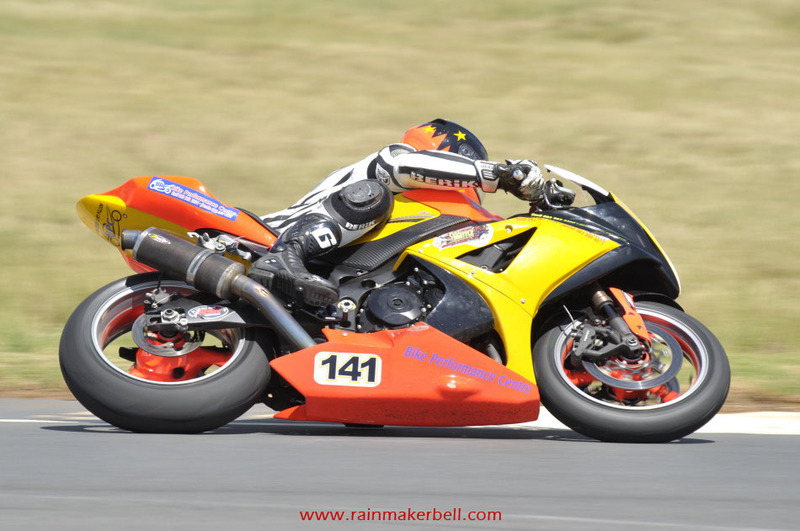 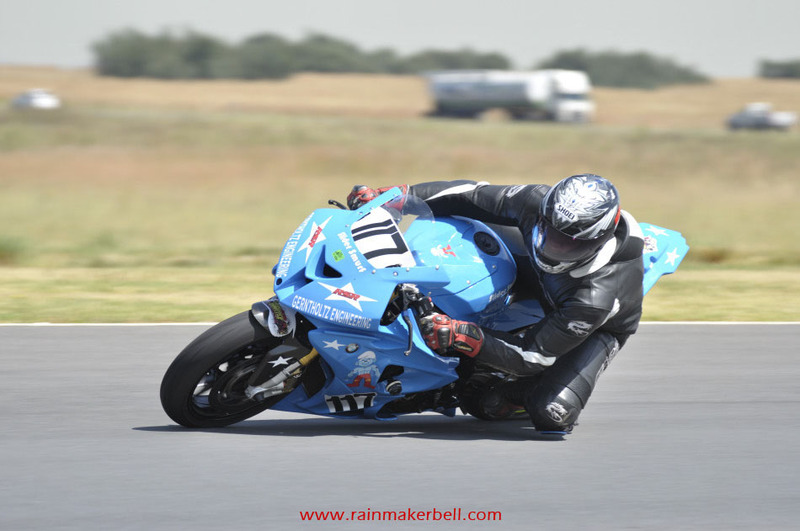 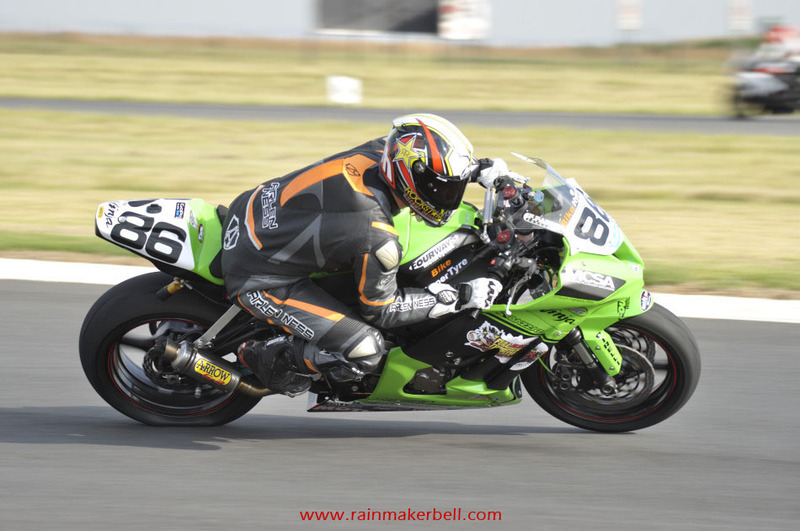 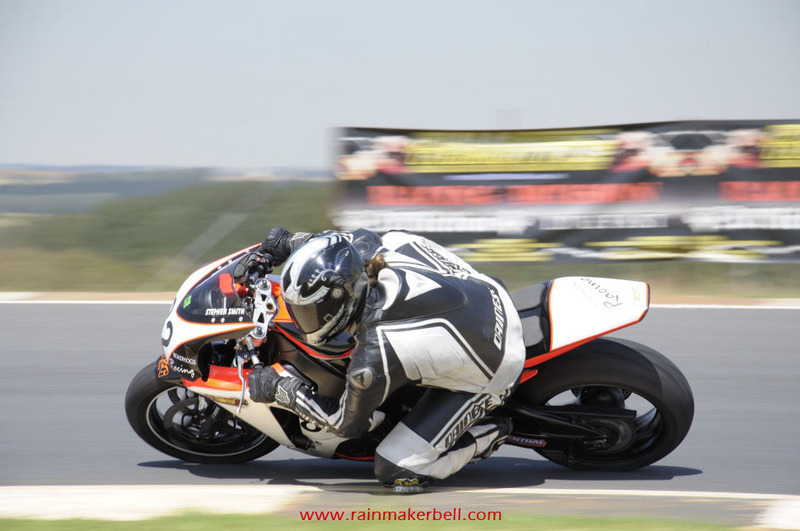 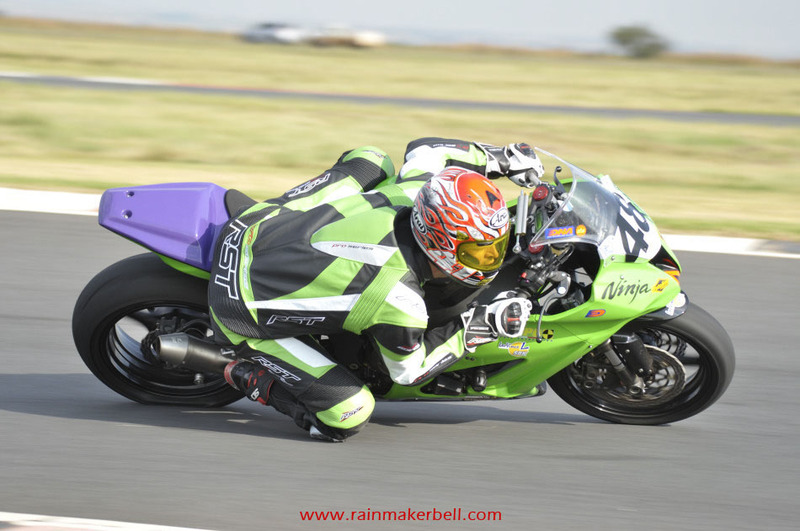 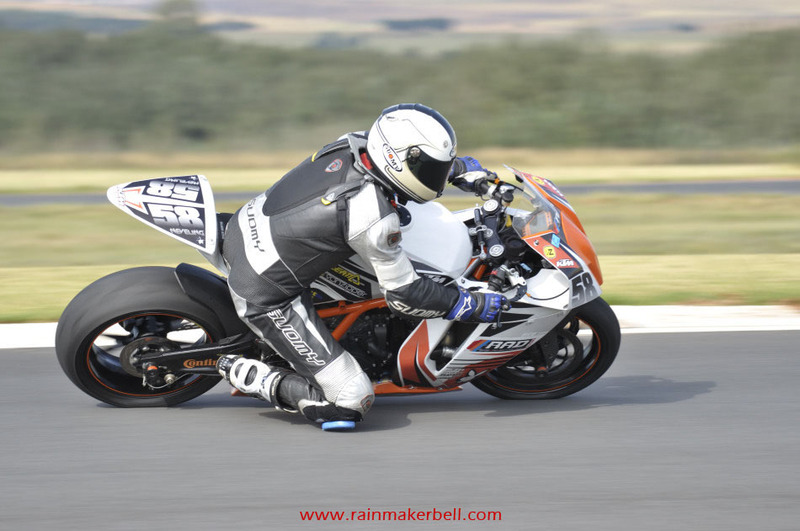 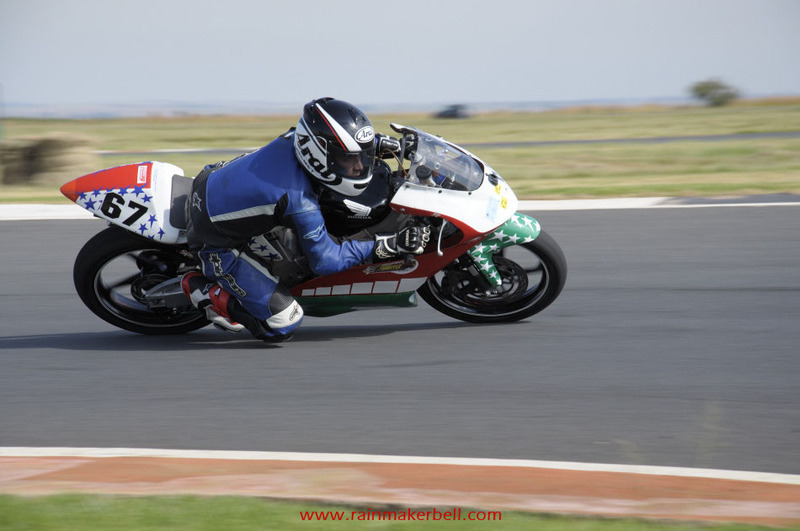 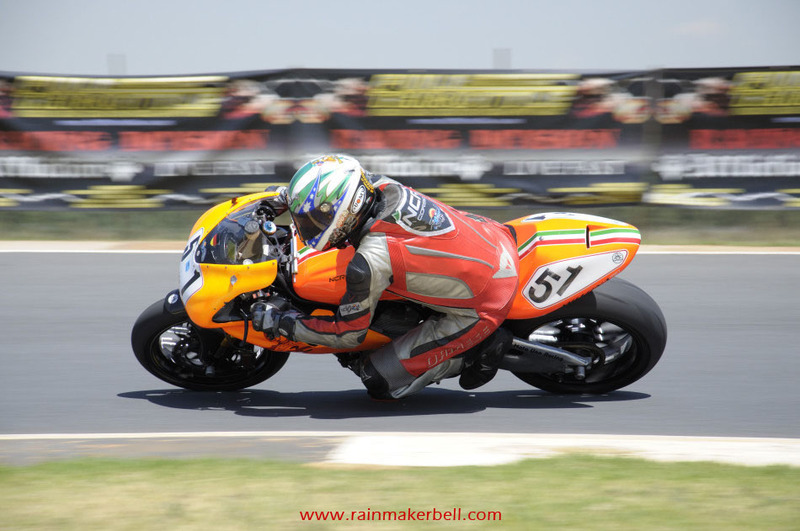 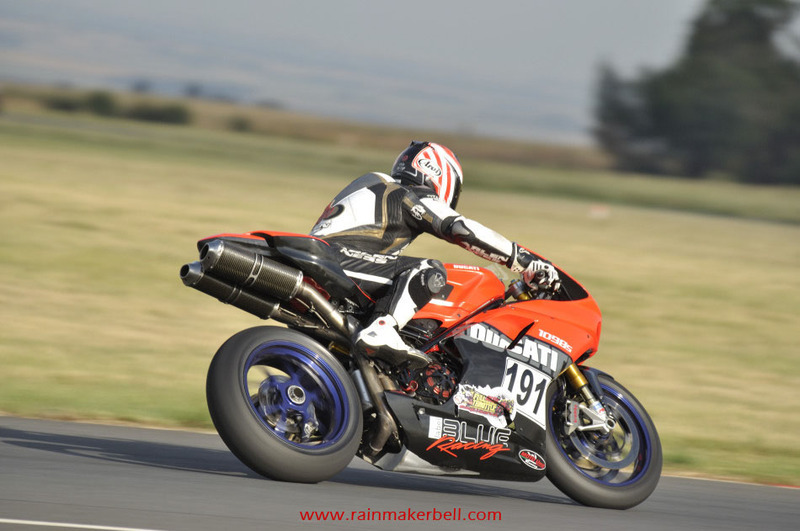 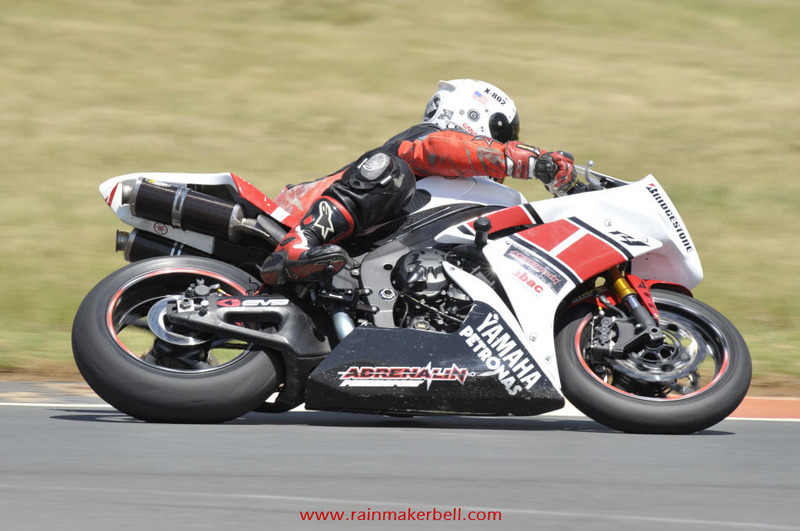 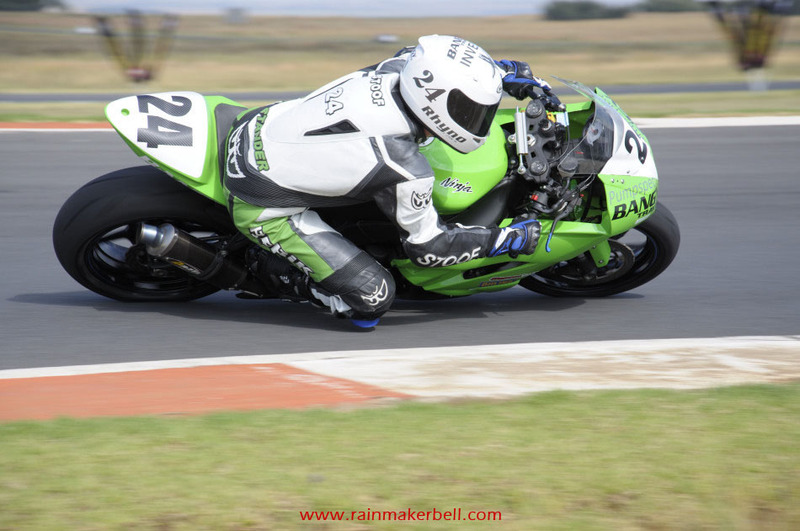 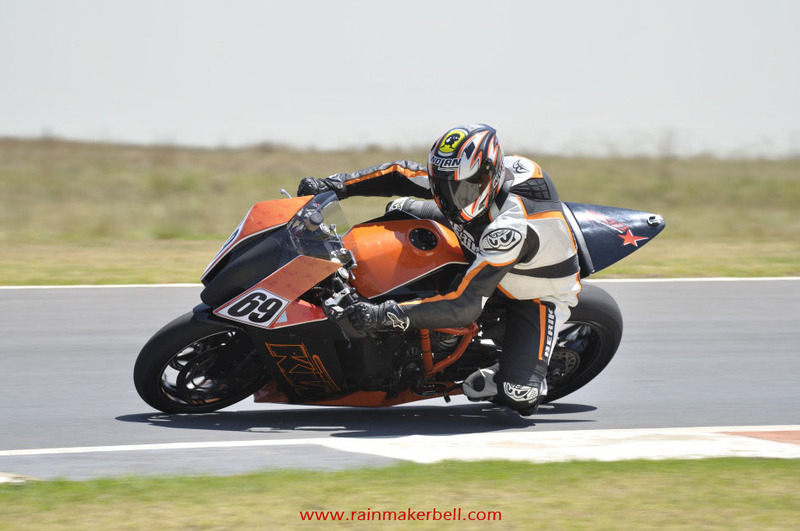 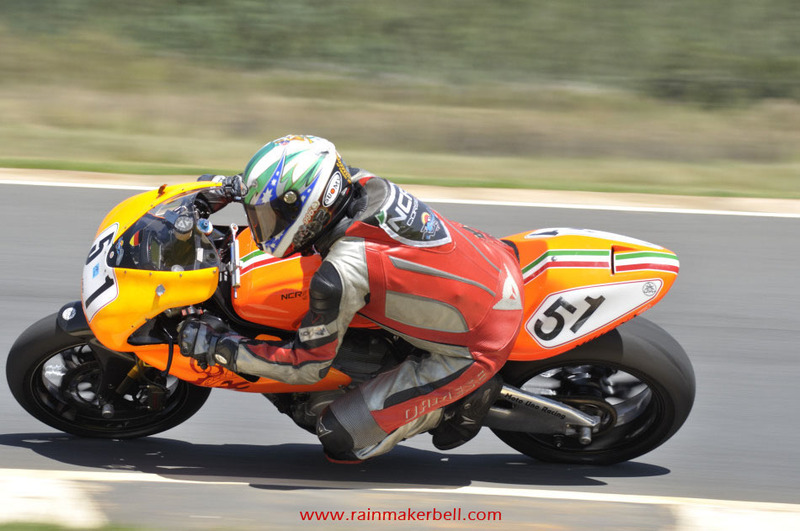 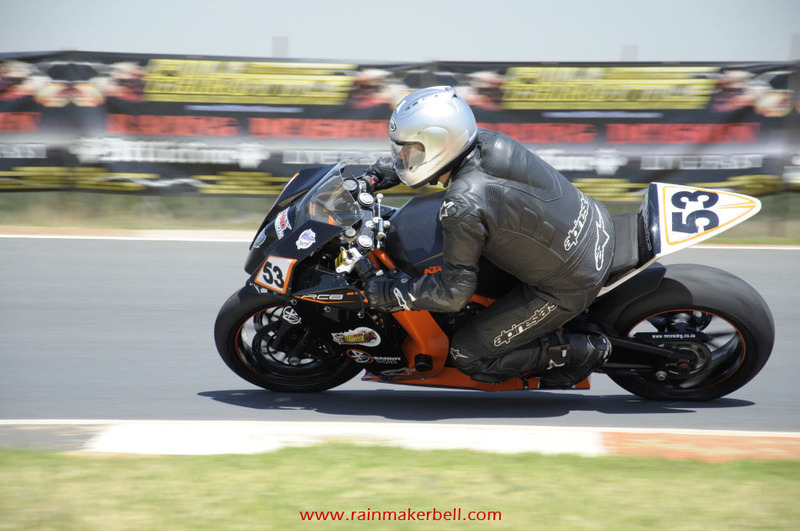 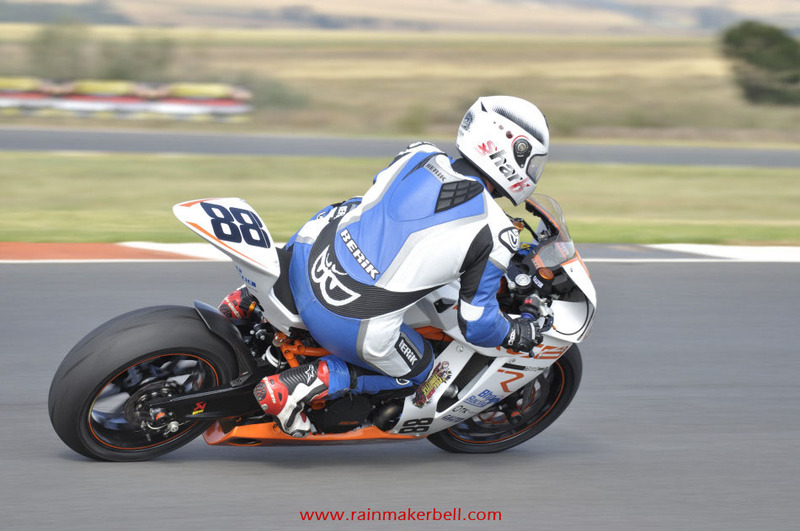 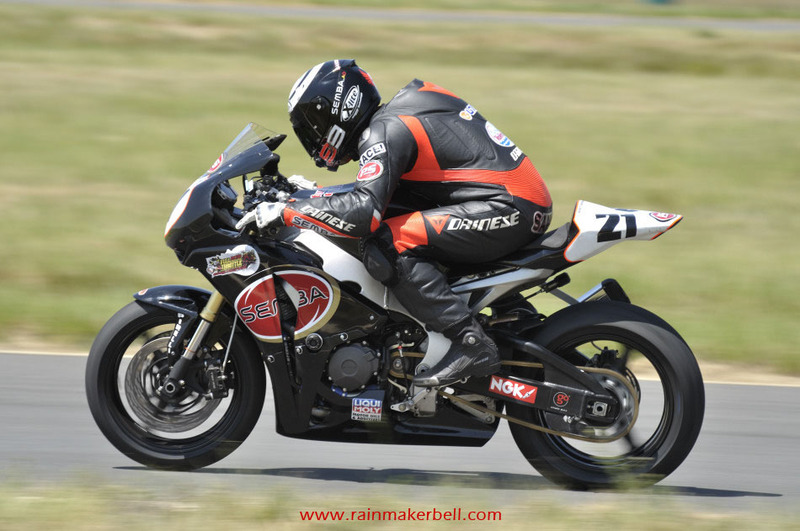 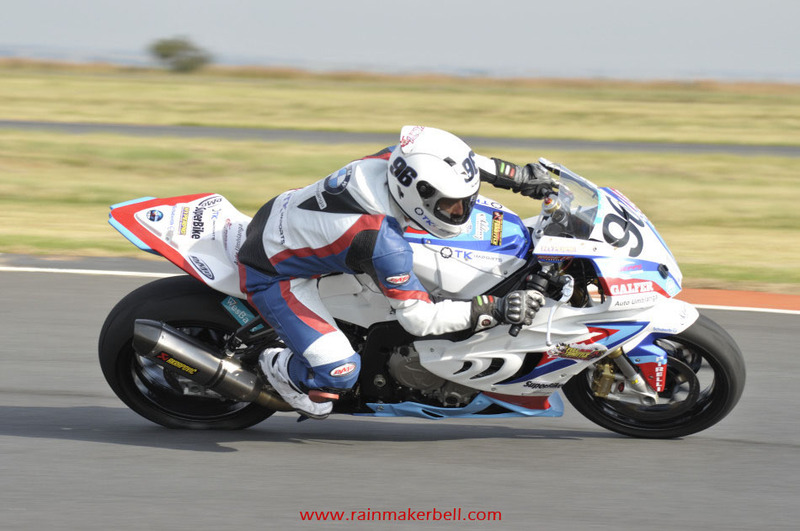 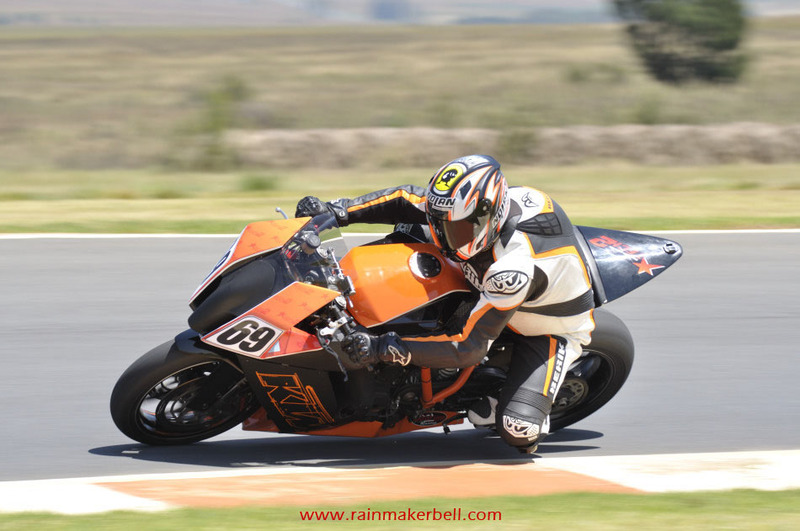 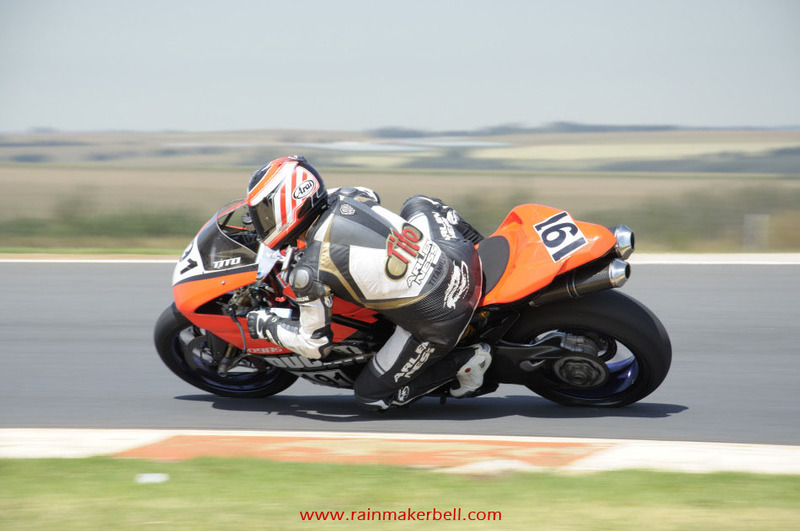 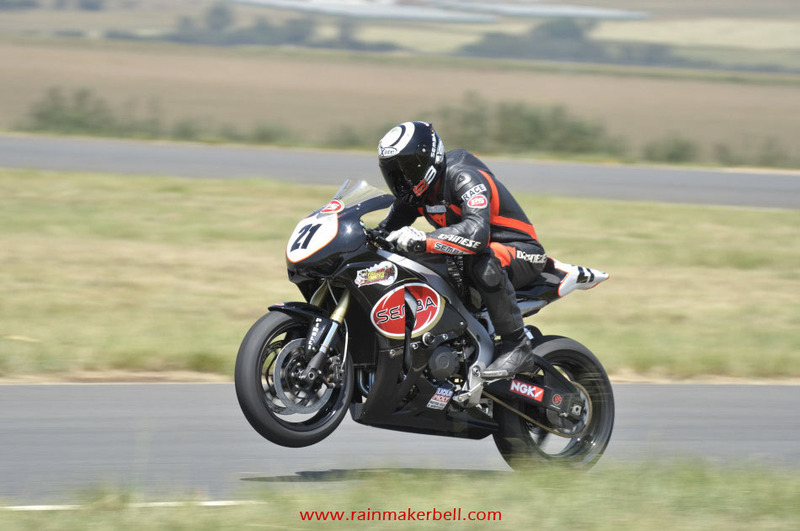 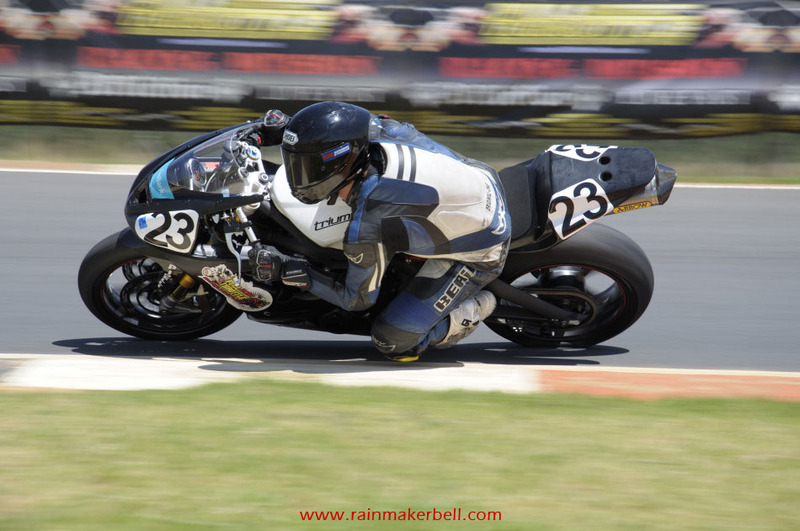 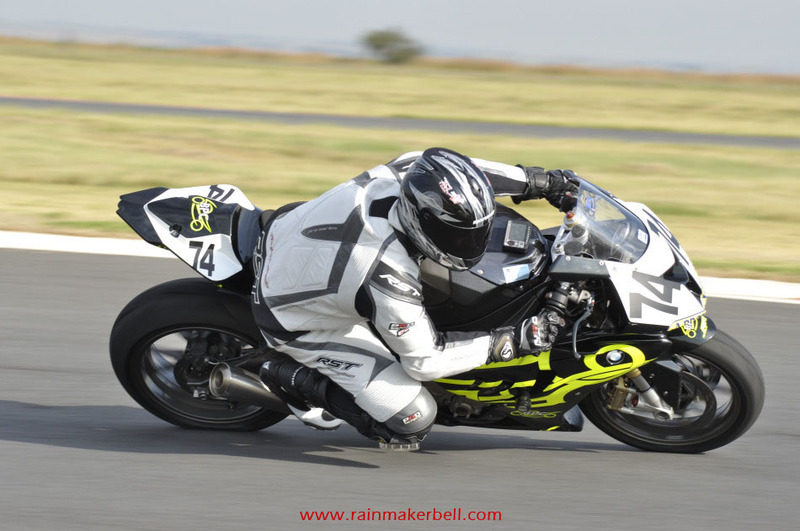 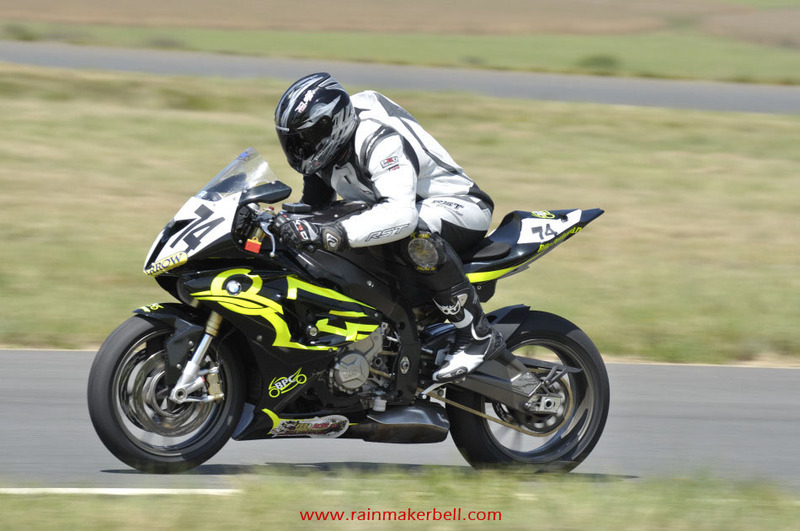 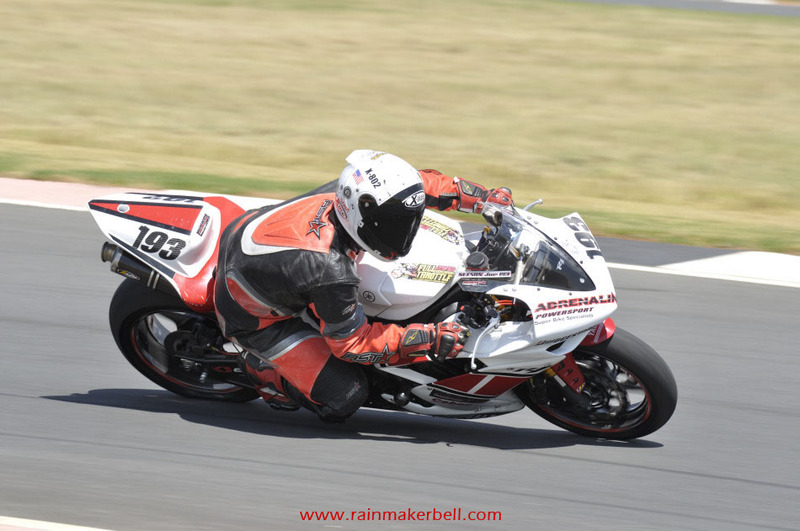 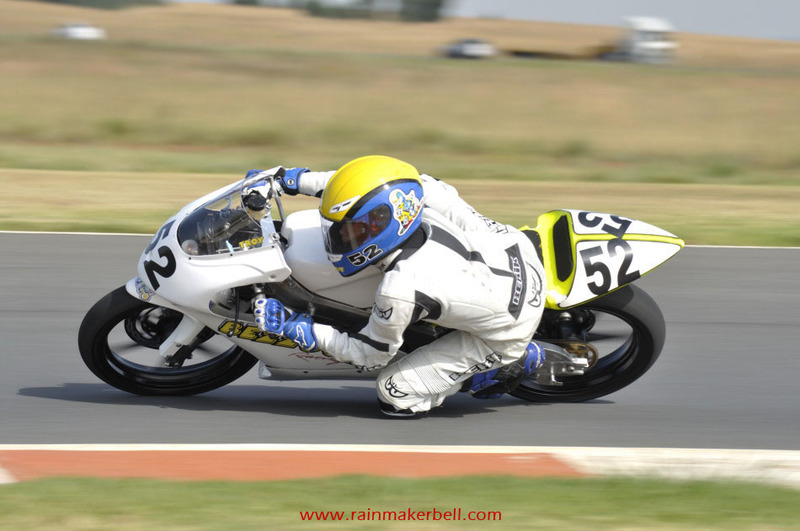 Words & Photos: Adriaan & Martine Venter (Northern Regions Racing, Red Star Raceway, South African Motorsport, 2012/03/10, 123 images) Main Image: Anthony Shelley #74, Kawasaki ZX6R.